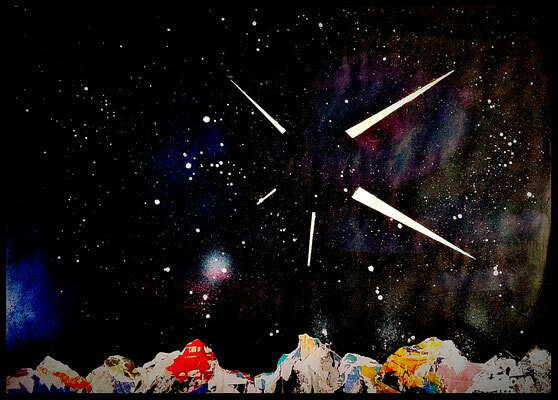 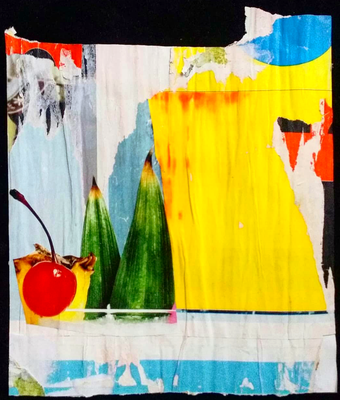 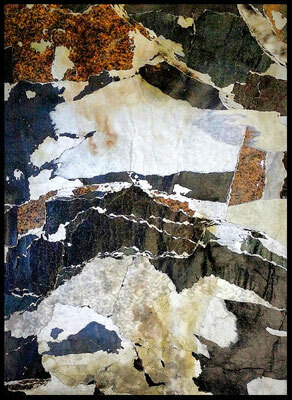 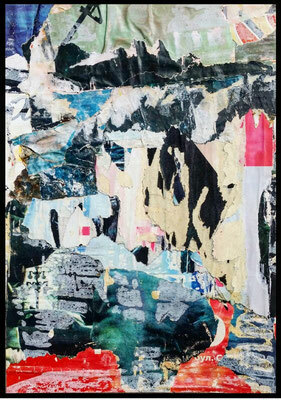 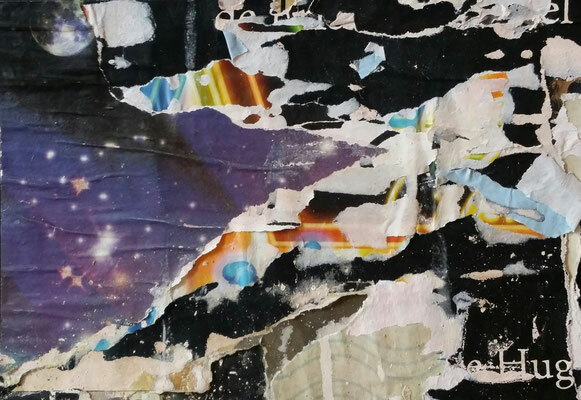 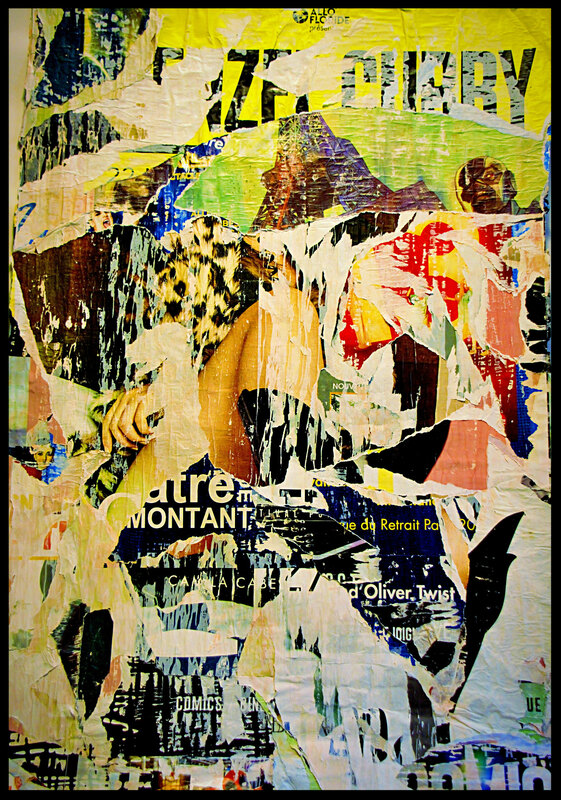 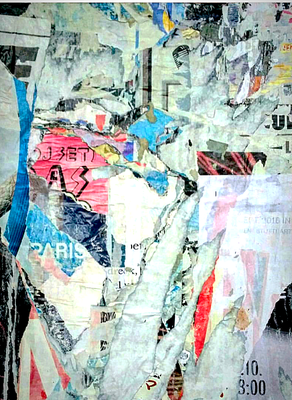 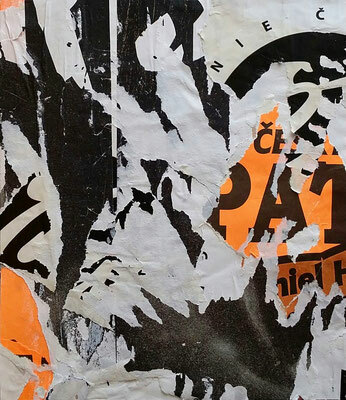 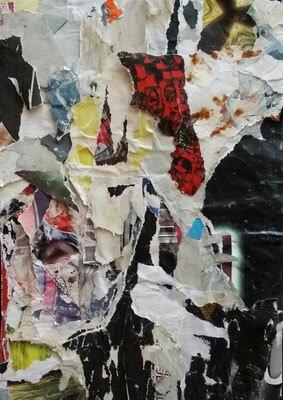 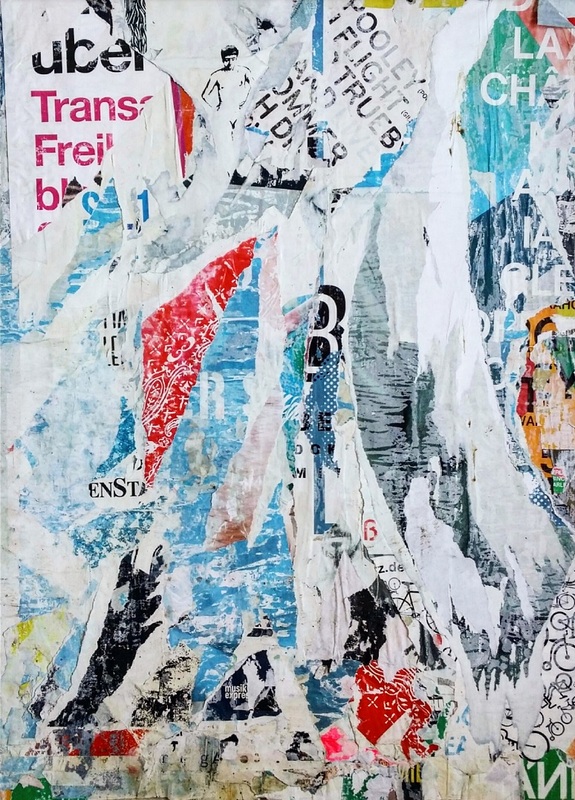 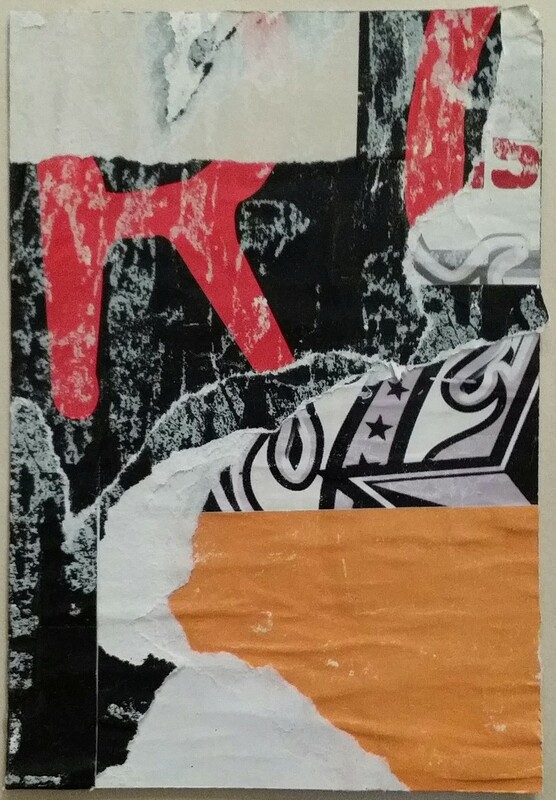 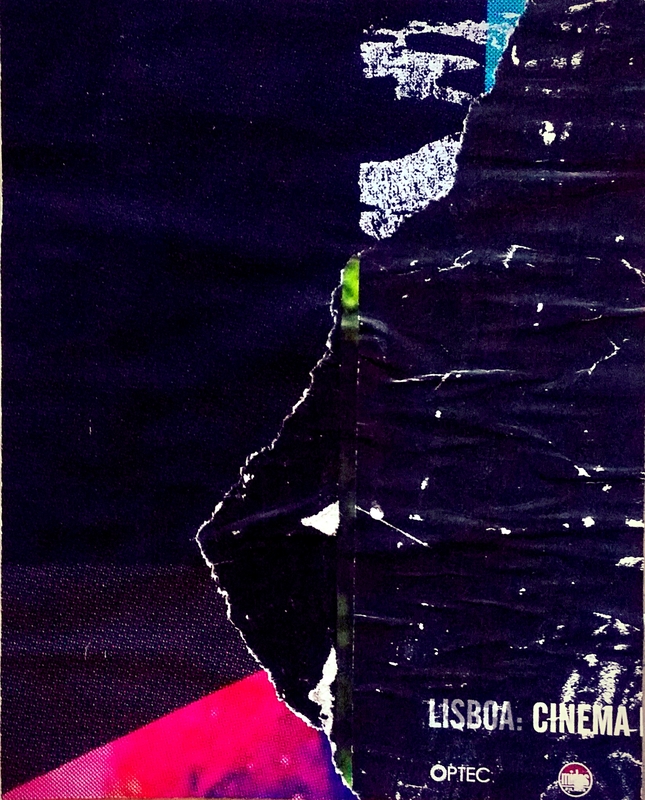 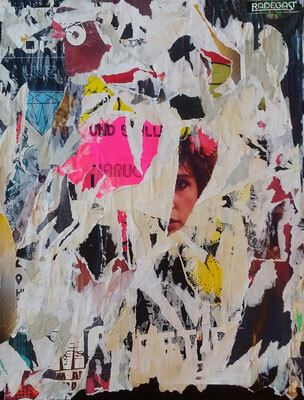 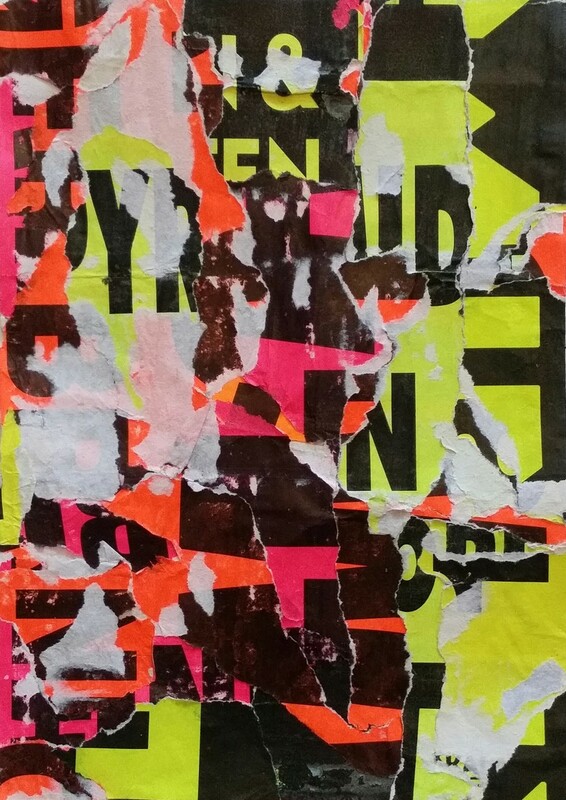 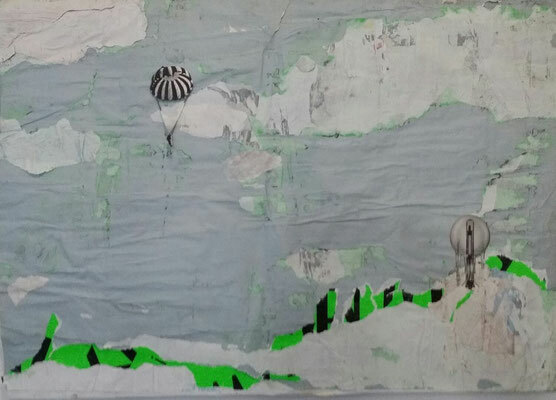 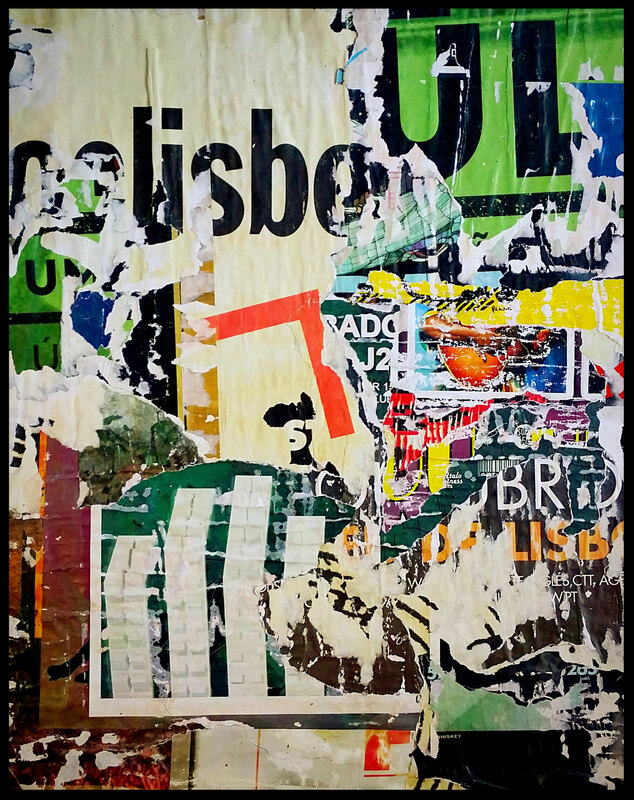 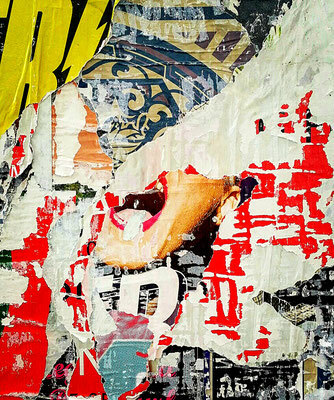 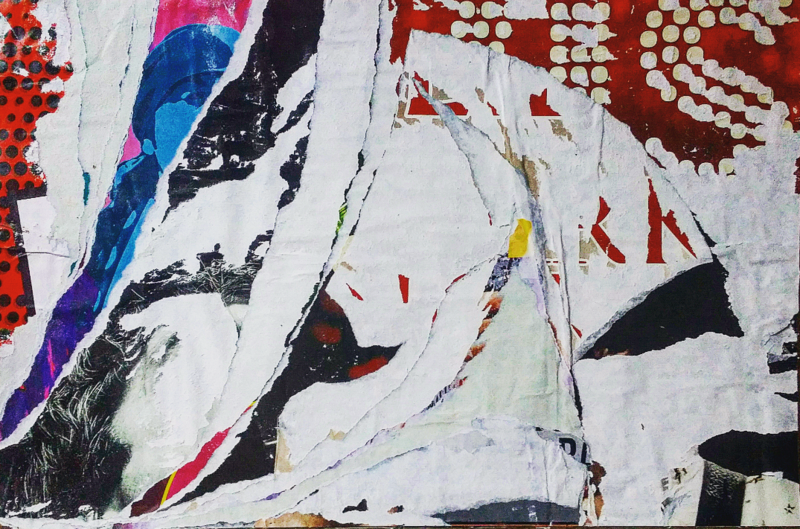 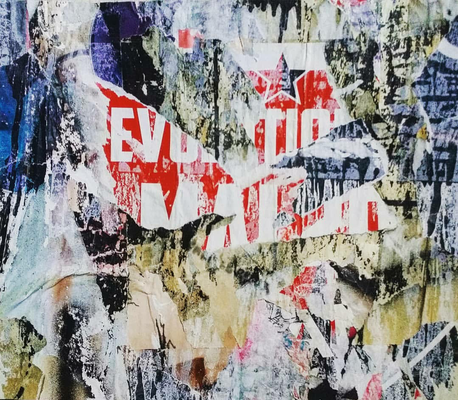 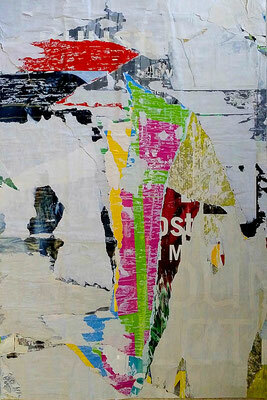 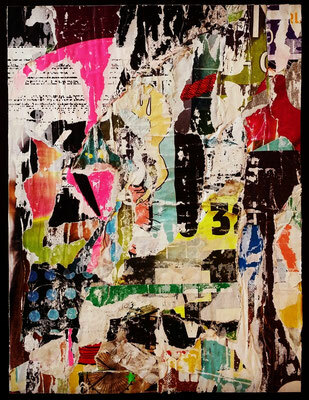 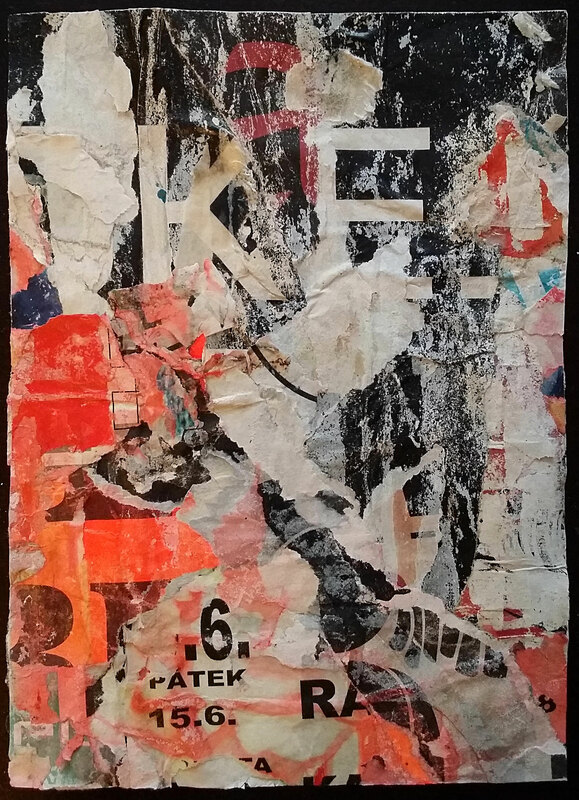 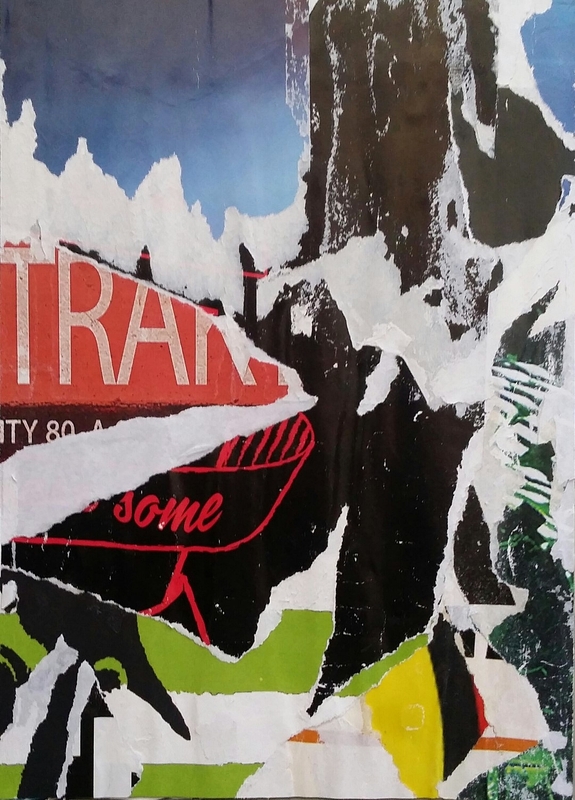 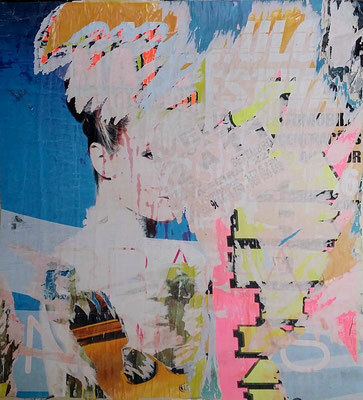 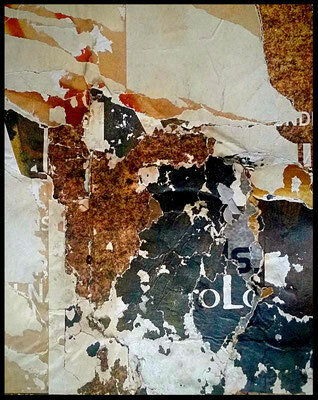 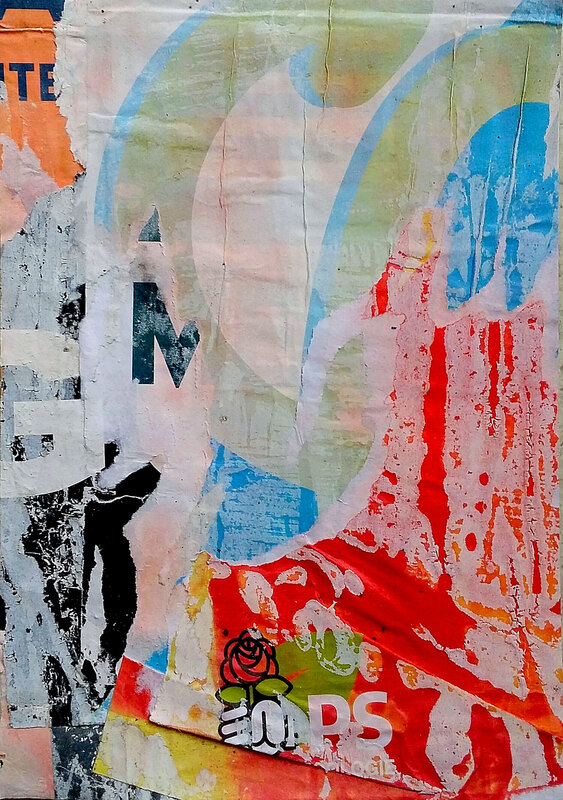 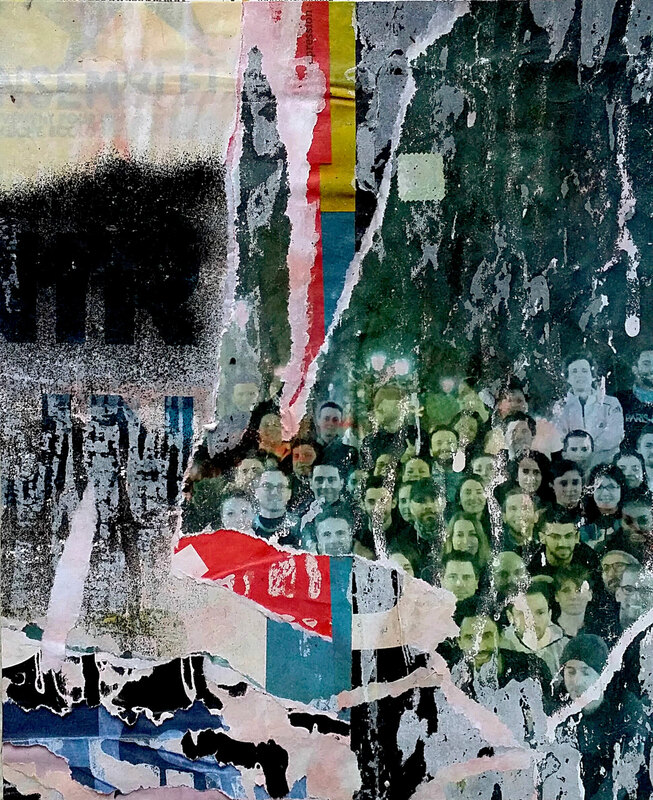 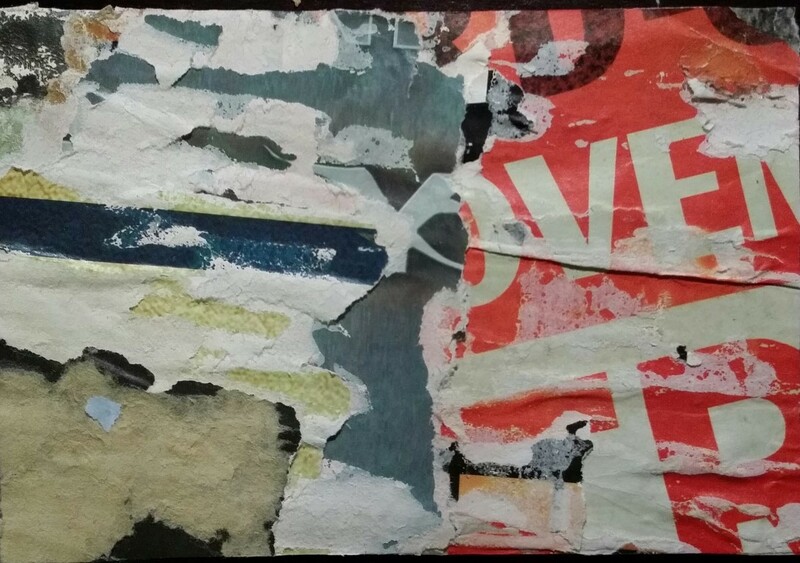 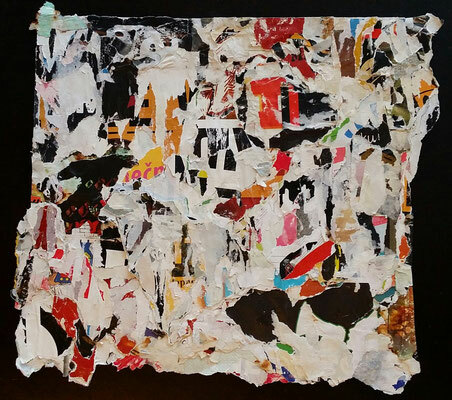 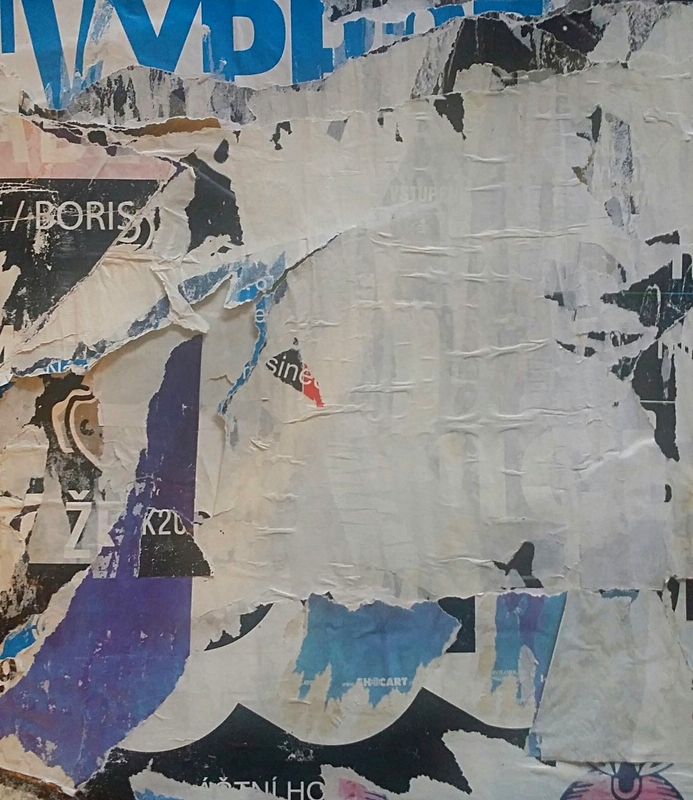 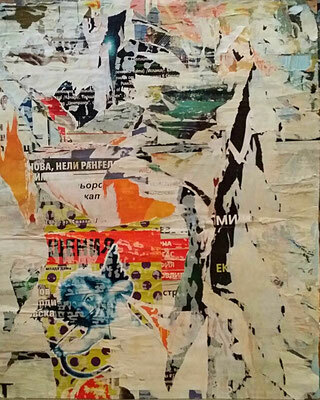 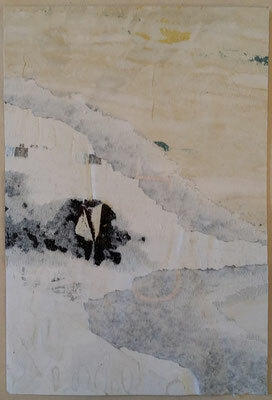 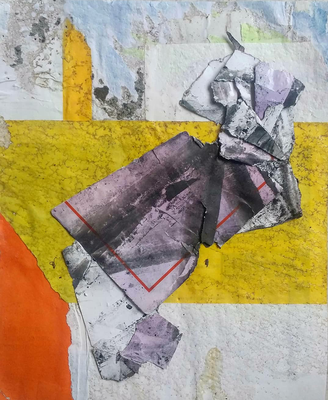 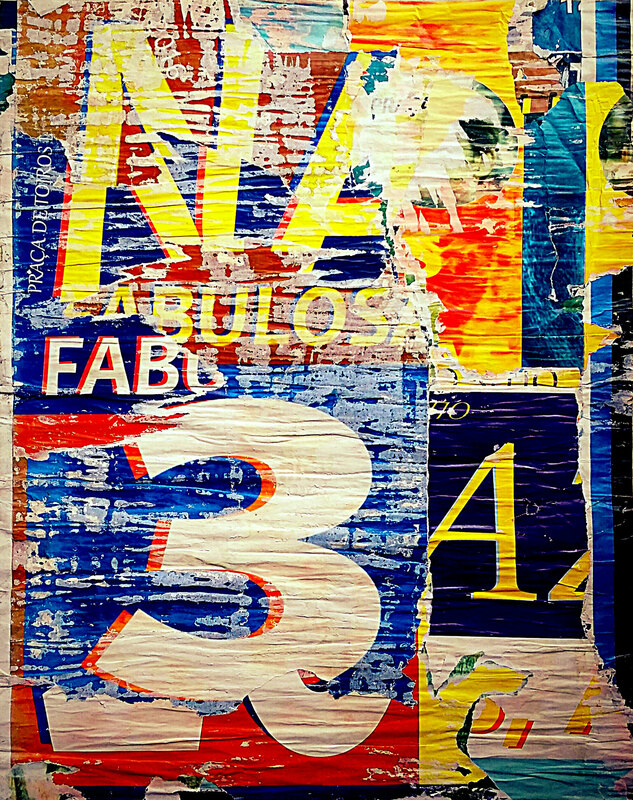 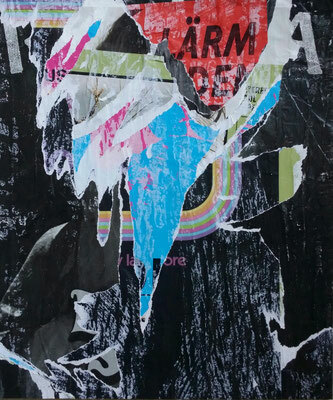 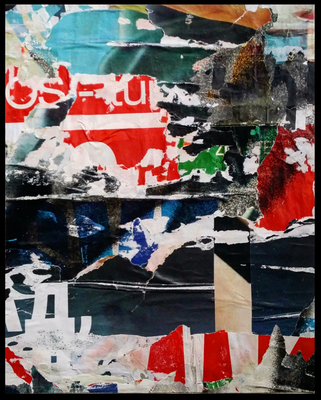 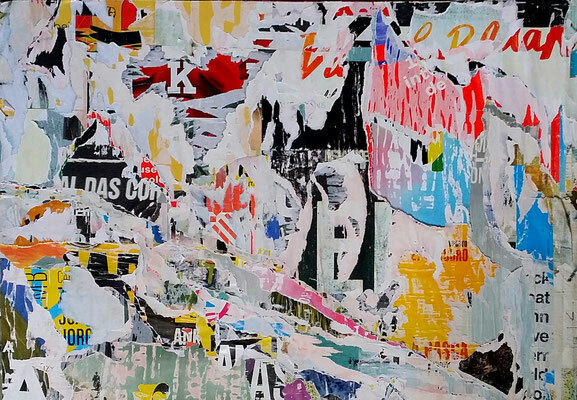 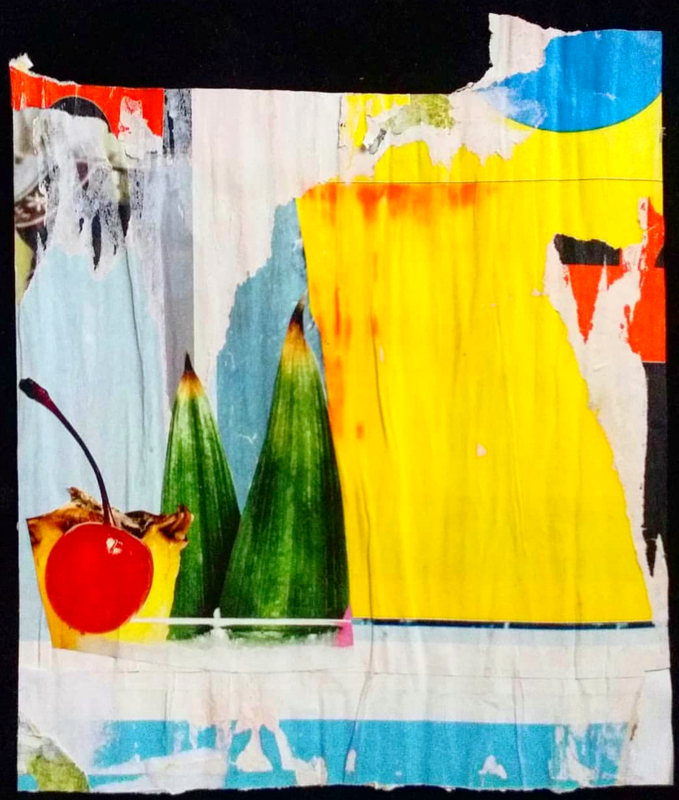 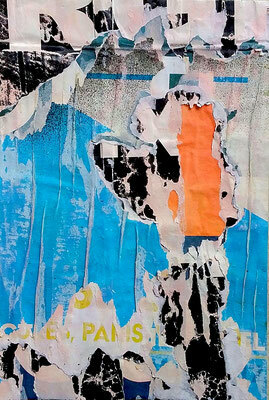 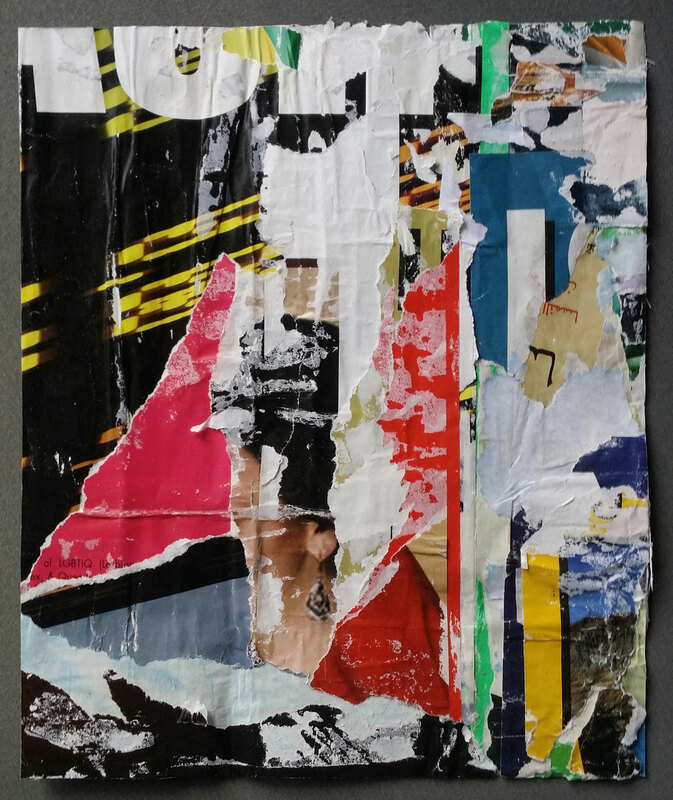 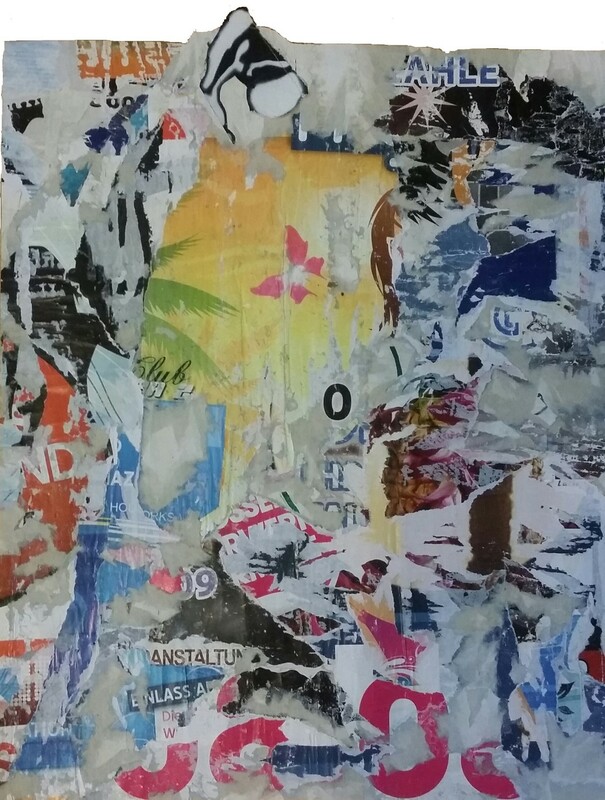 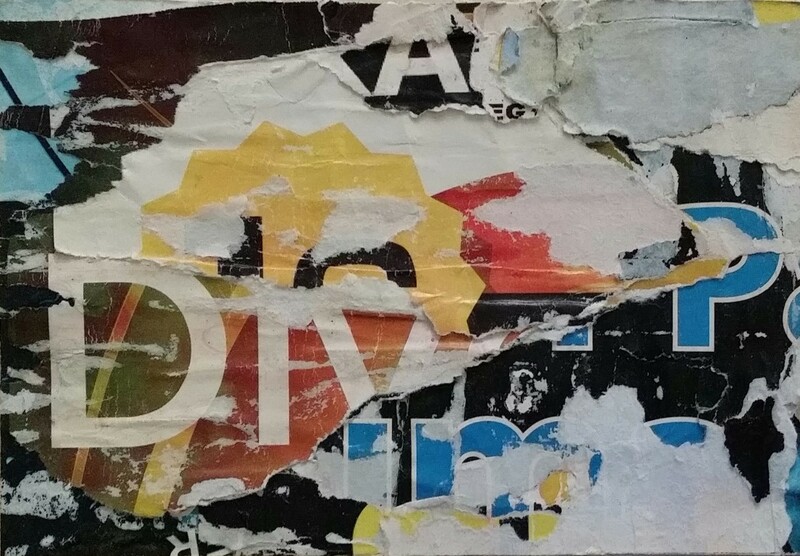 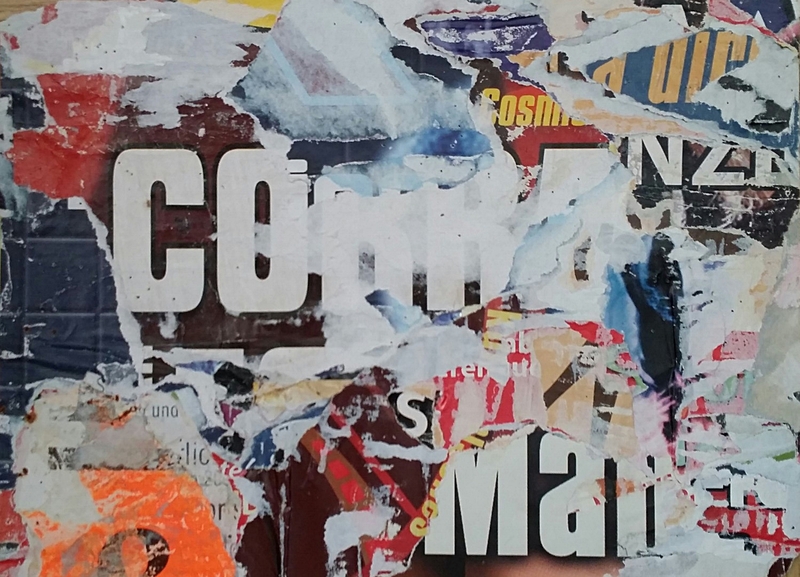 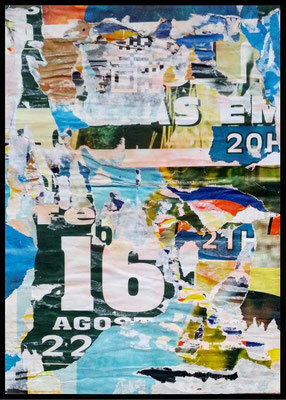 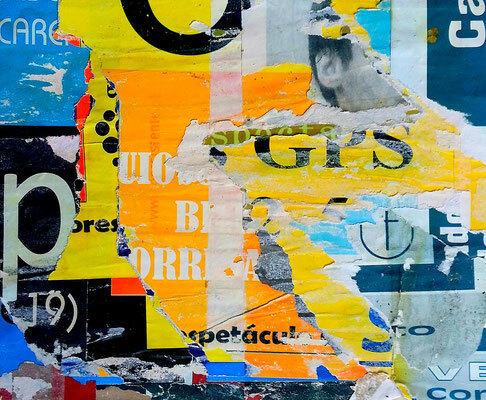 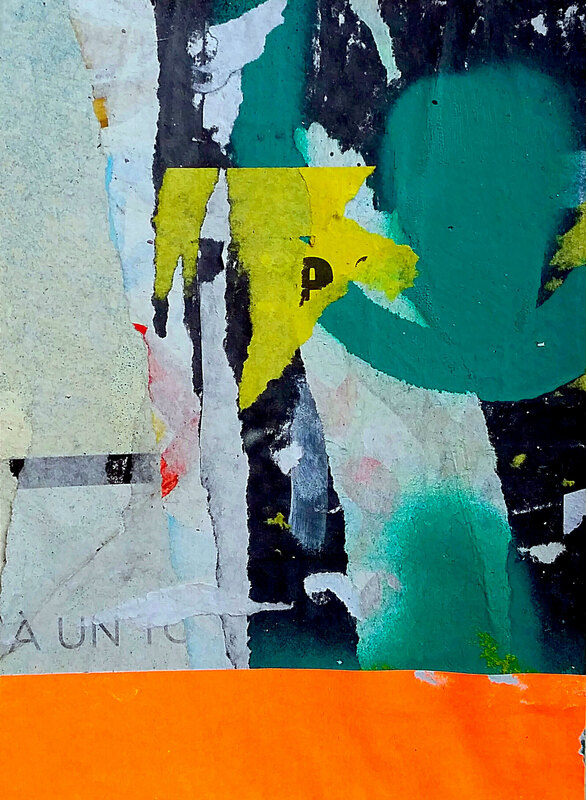 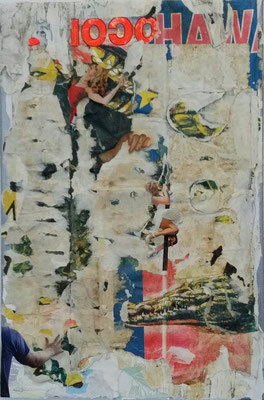 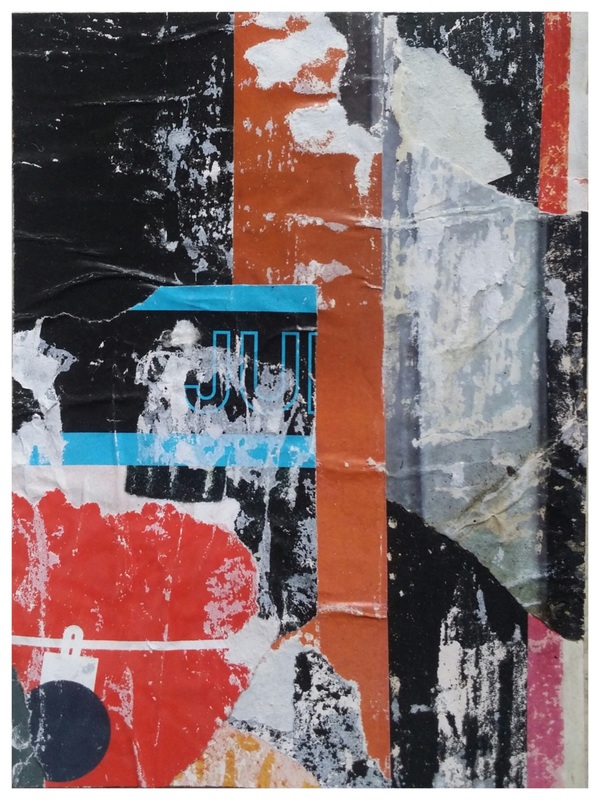 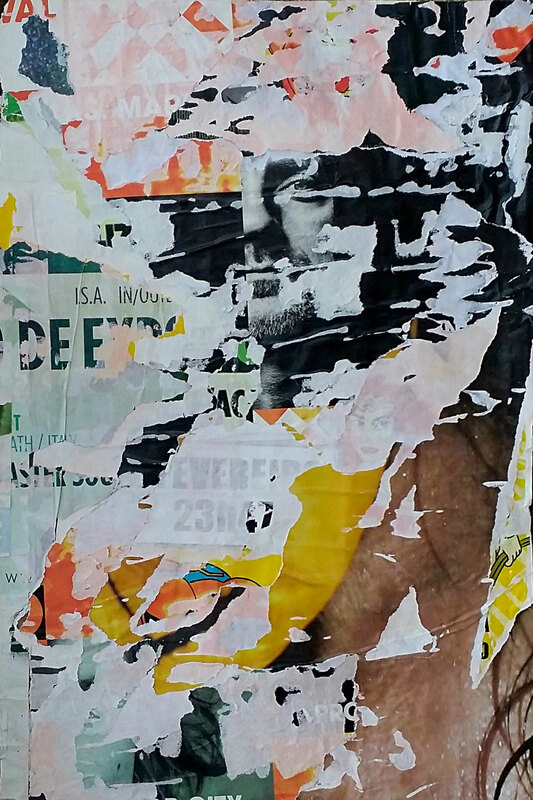 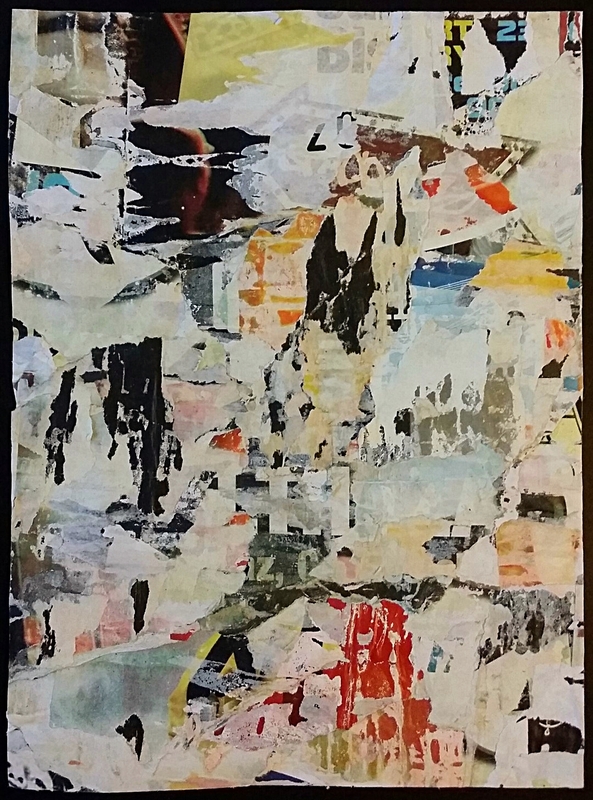 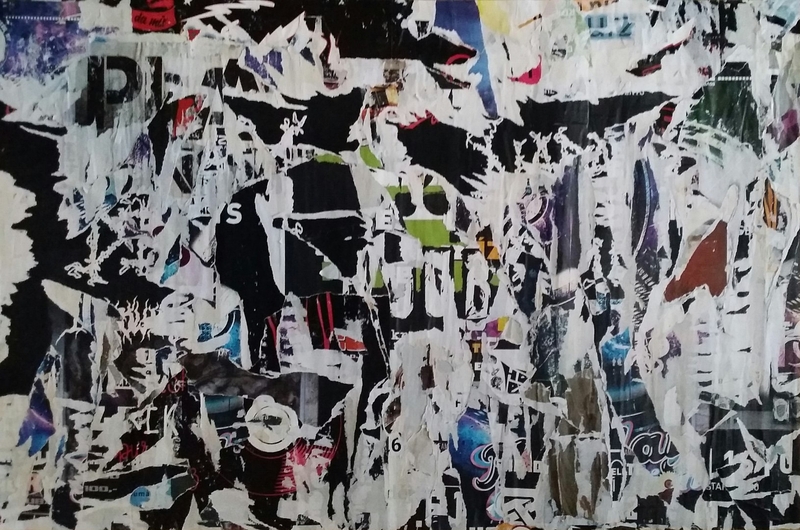 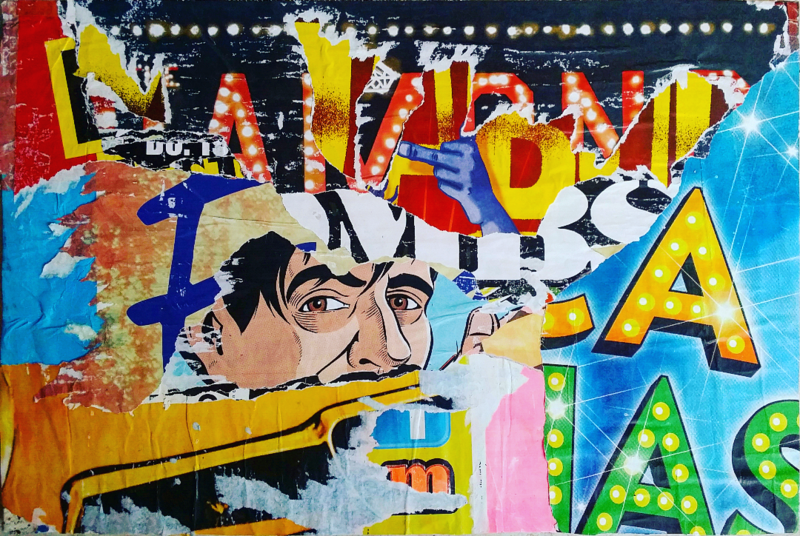 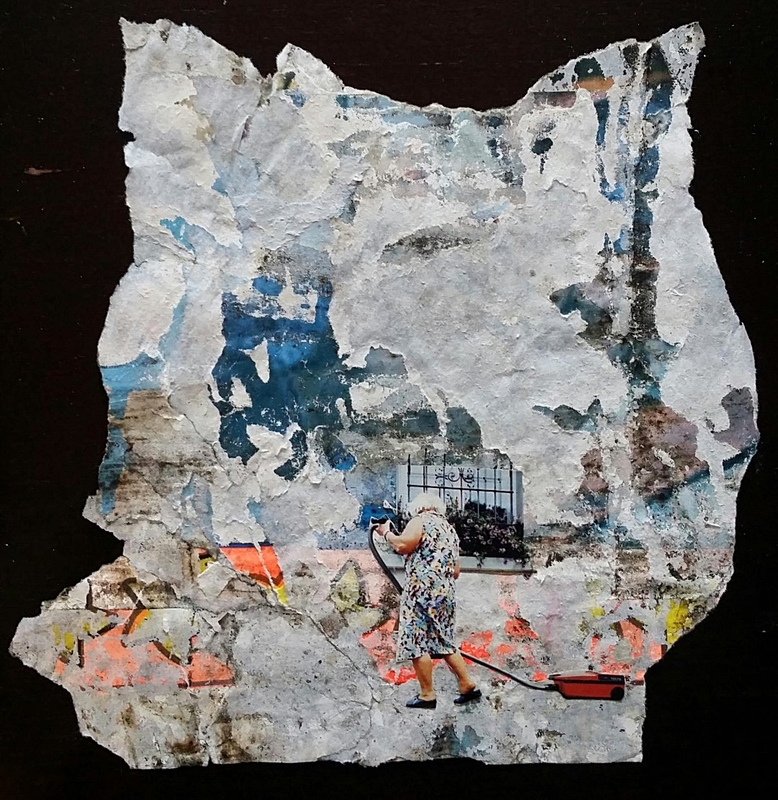 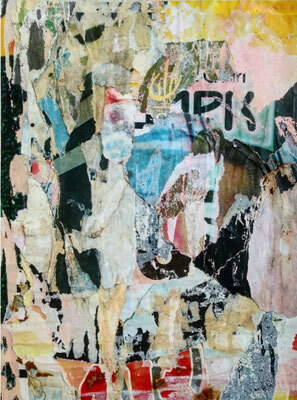 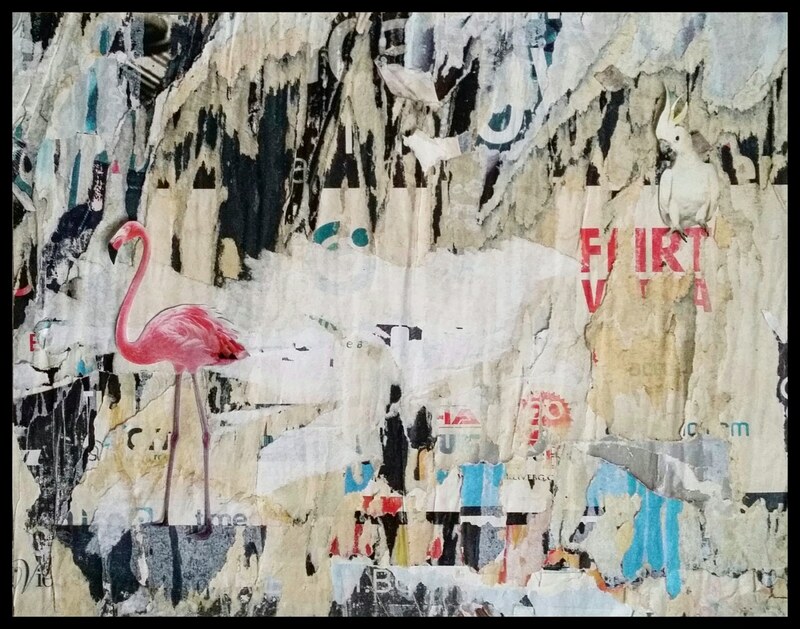 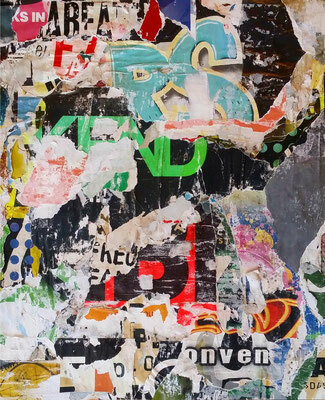 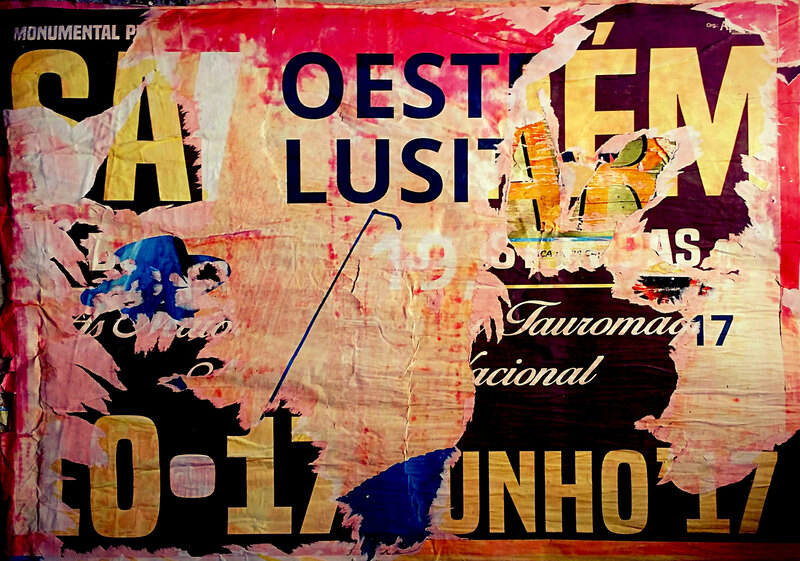 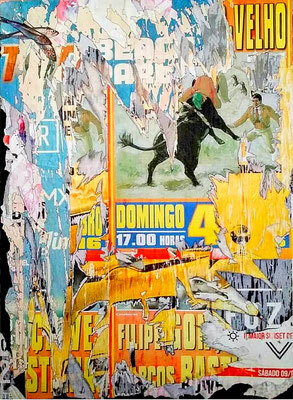 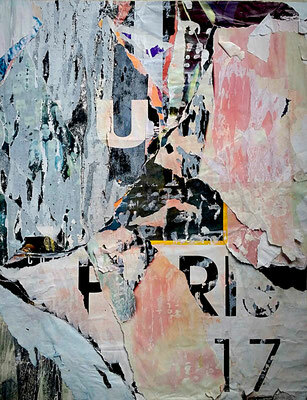 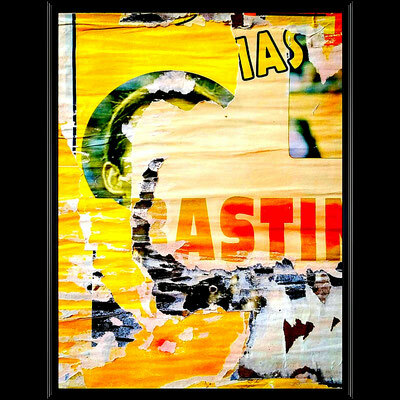 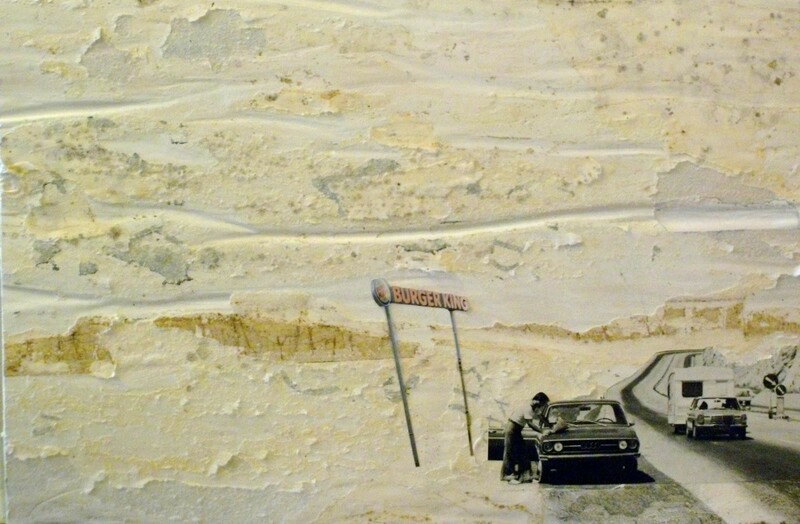 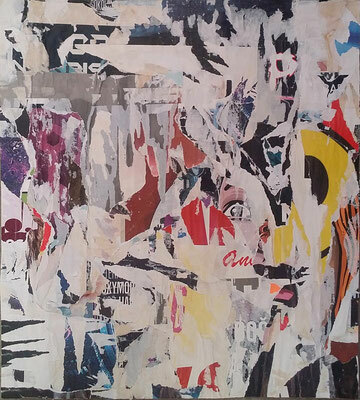 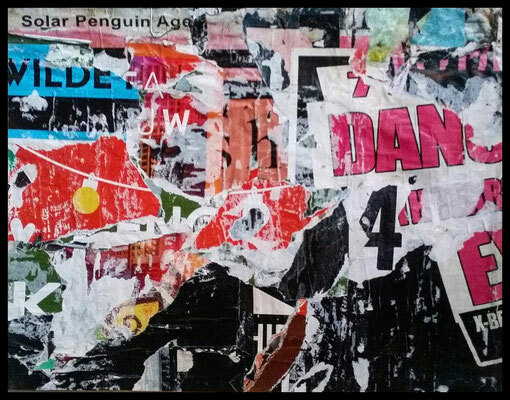 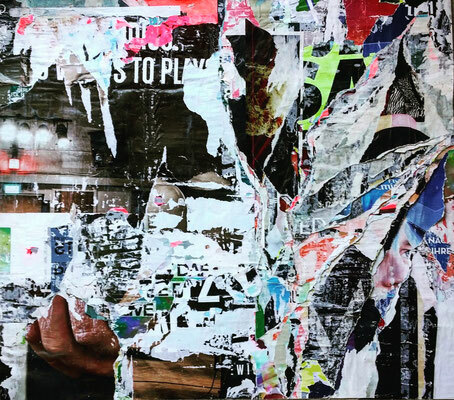 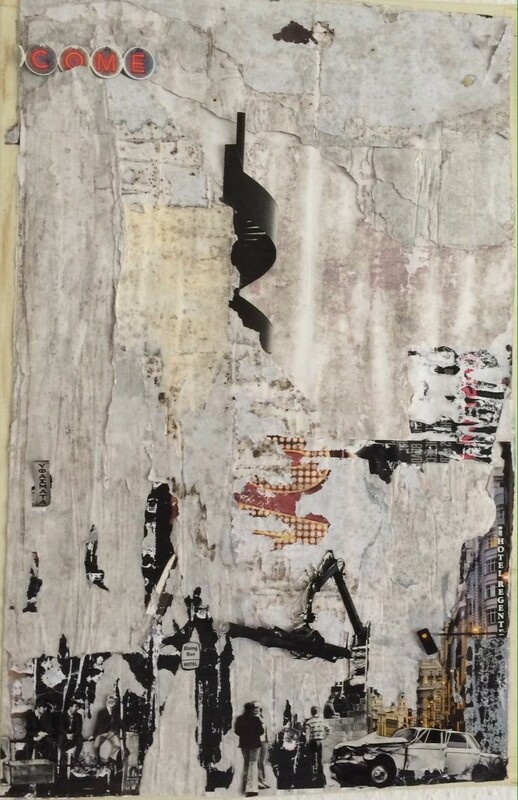 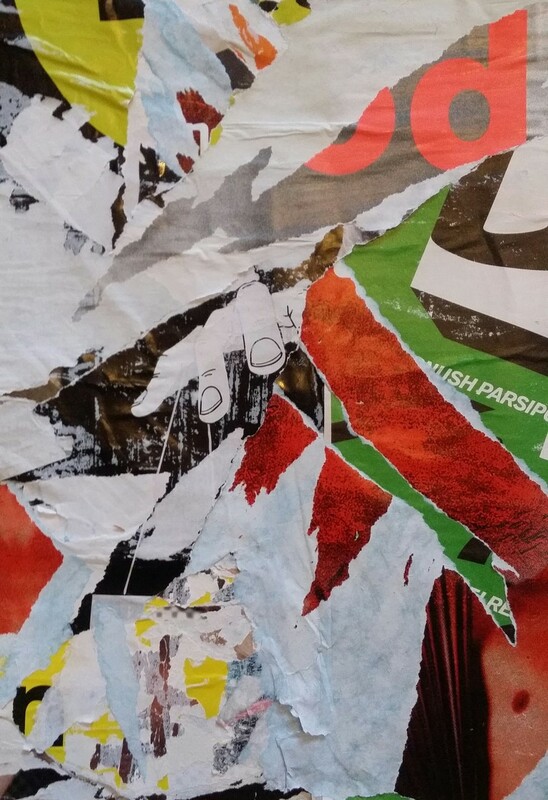 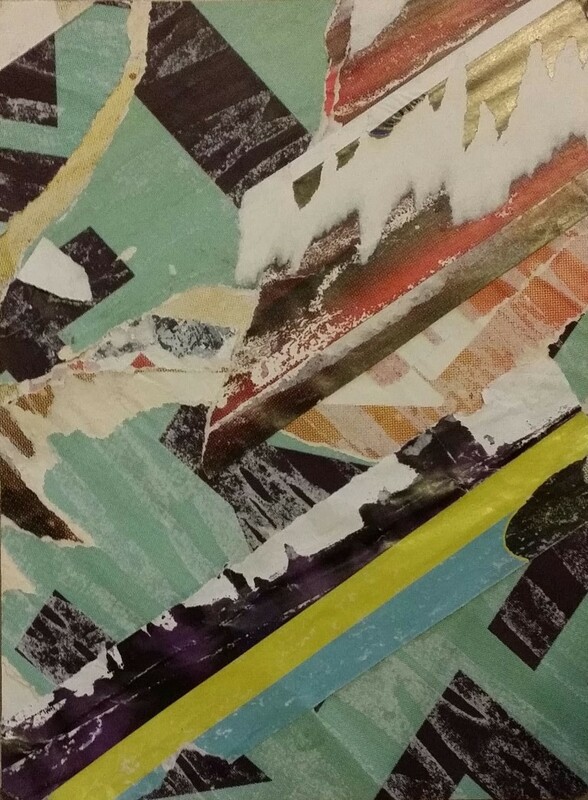 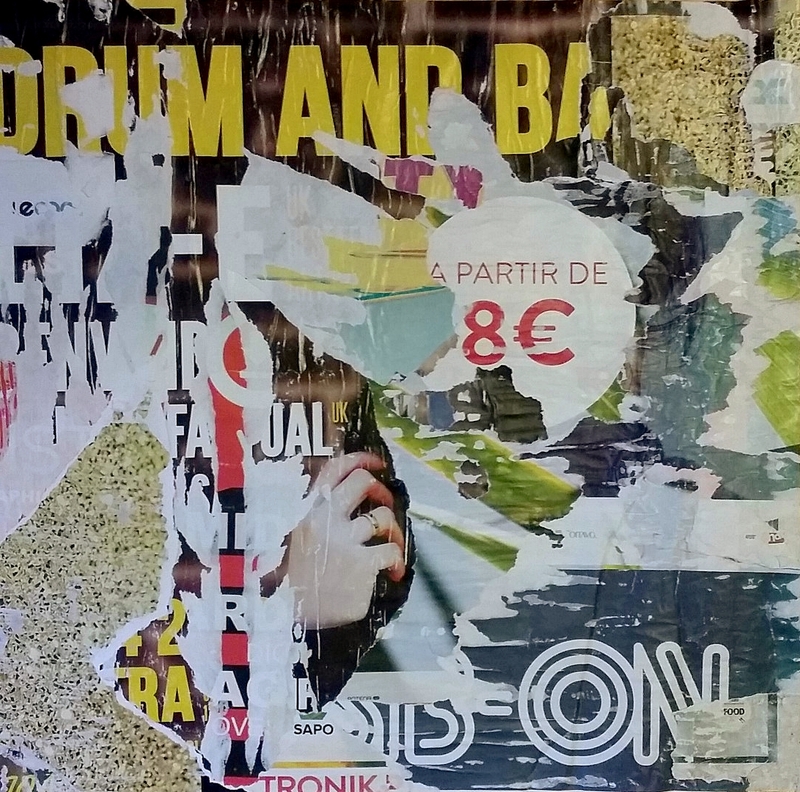 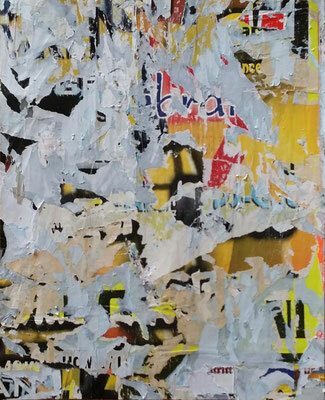 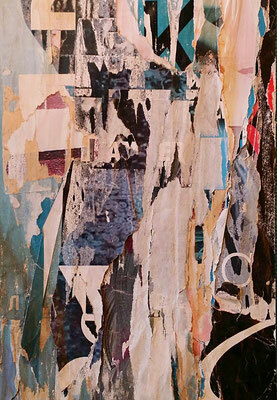 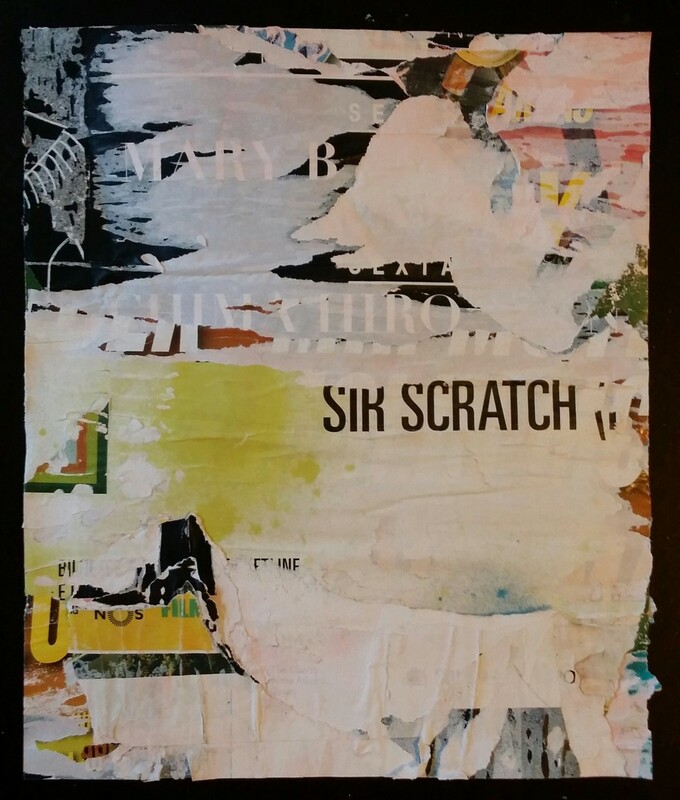 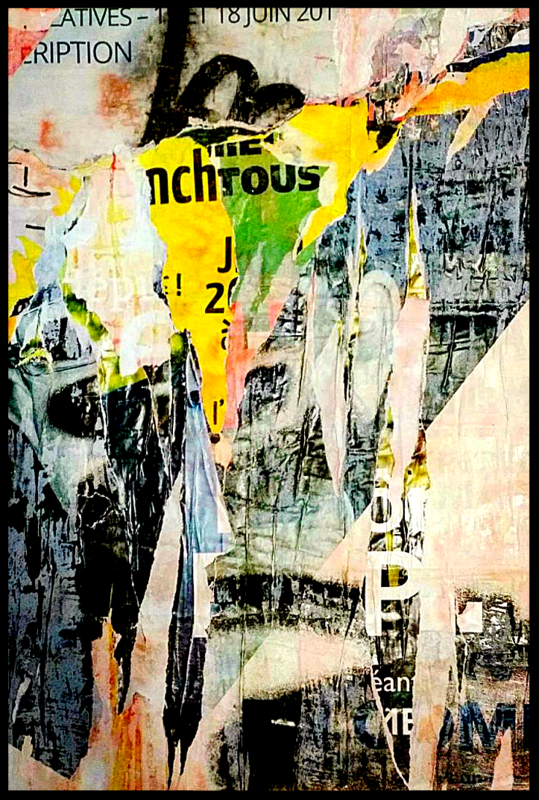 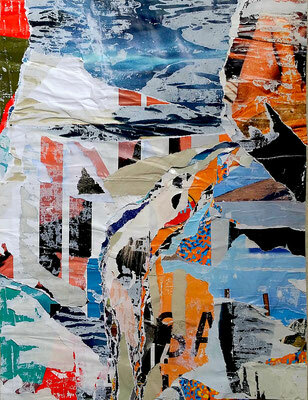 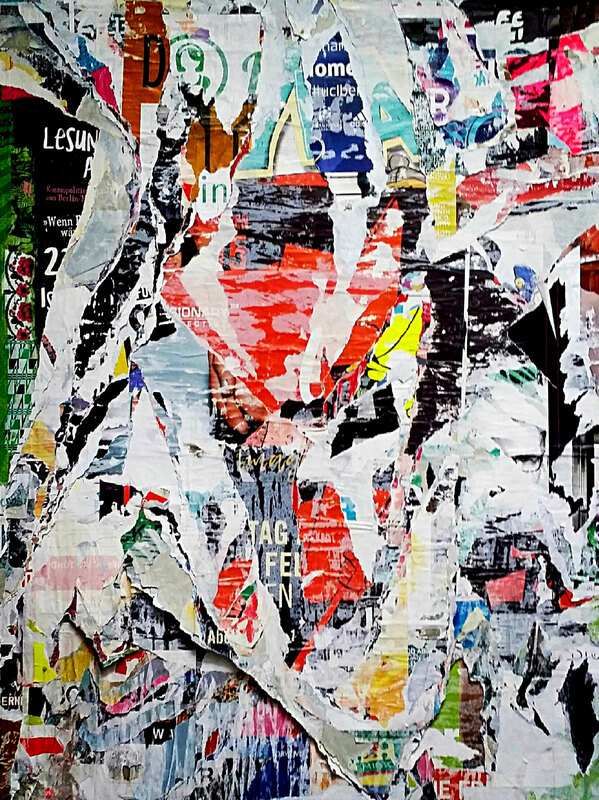 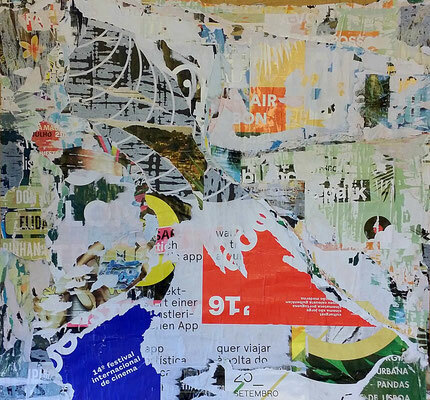 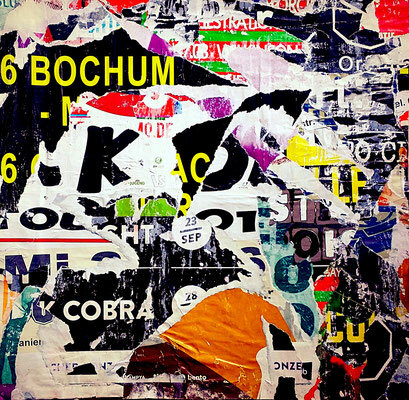 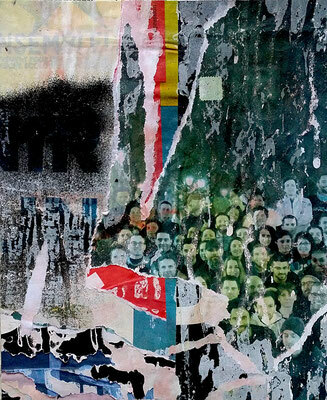 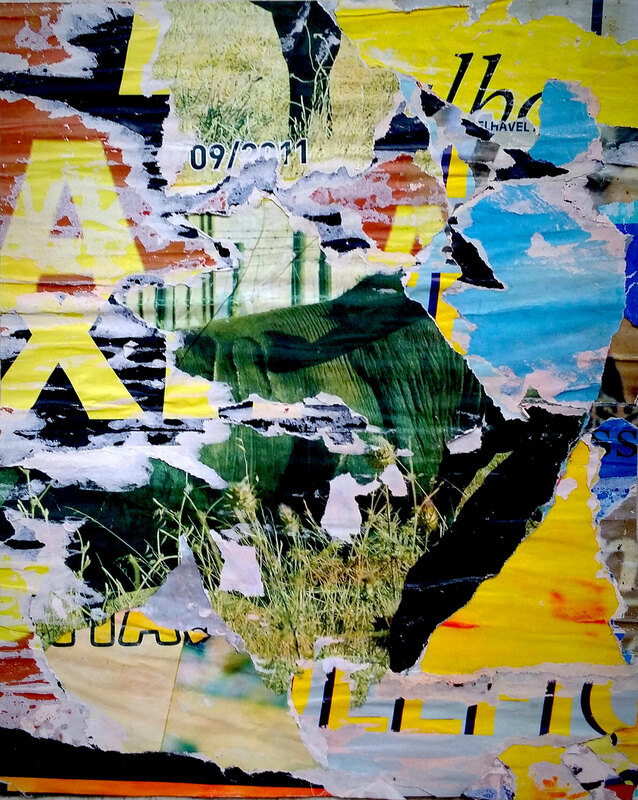 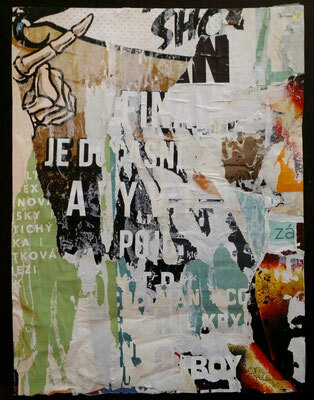 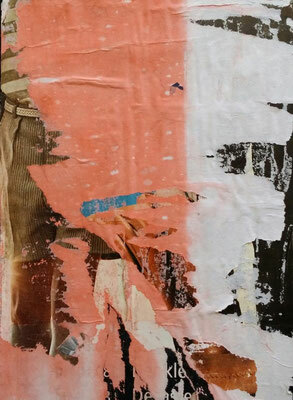 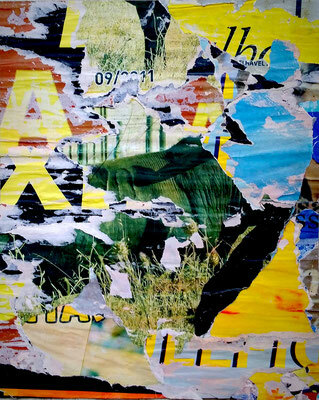 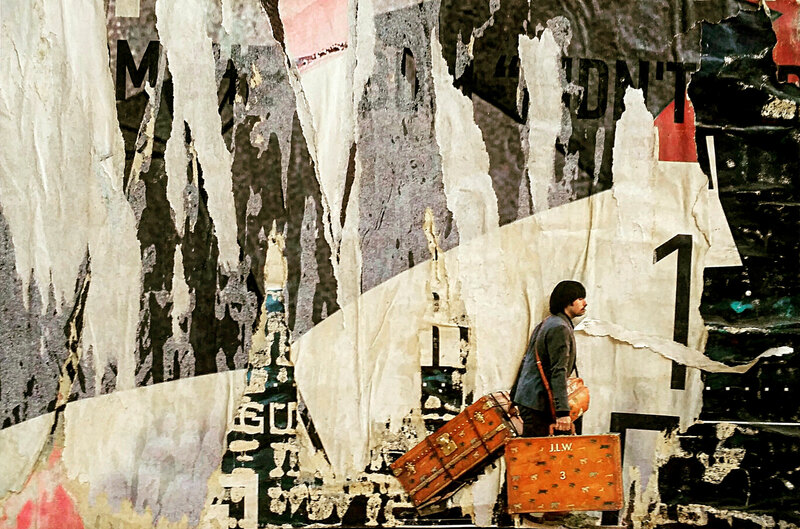 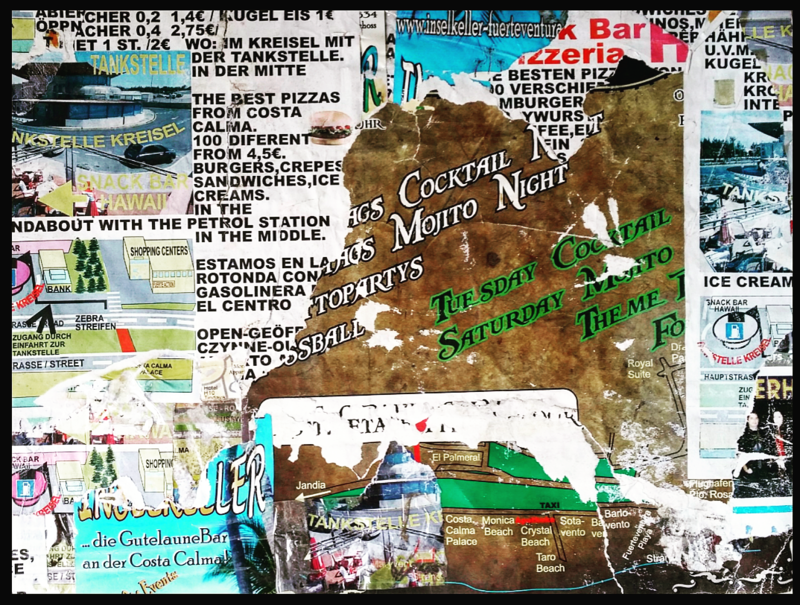 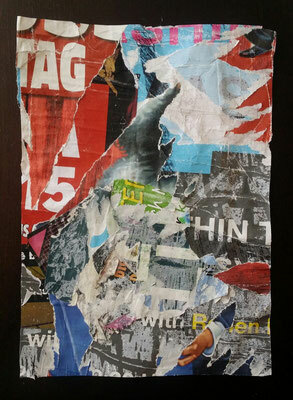 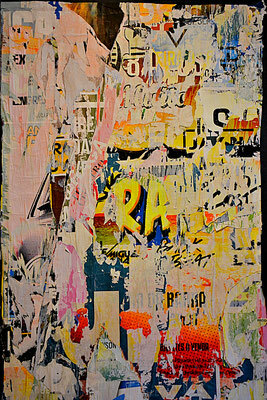 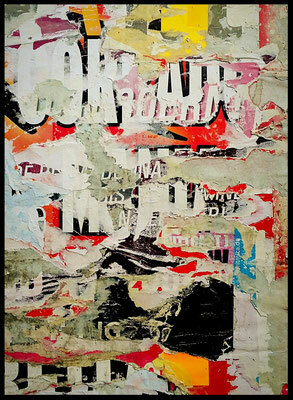 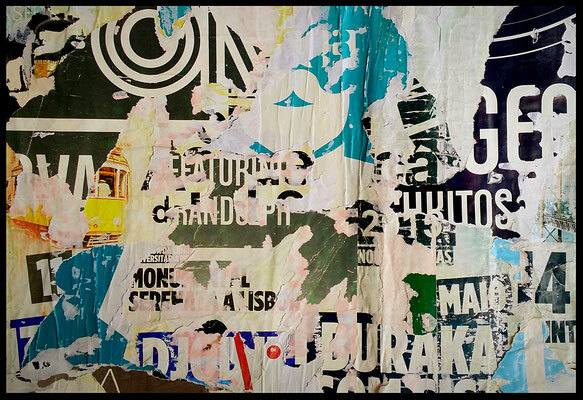 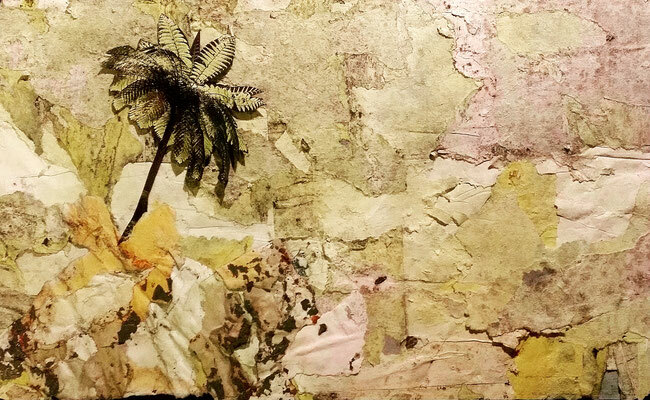 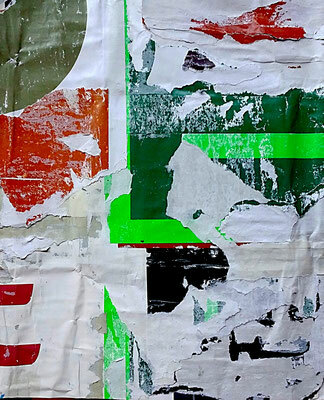 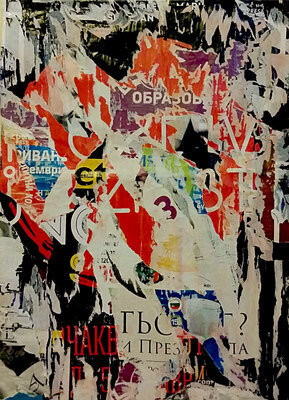 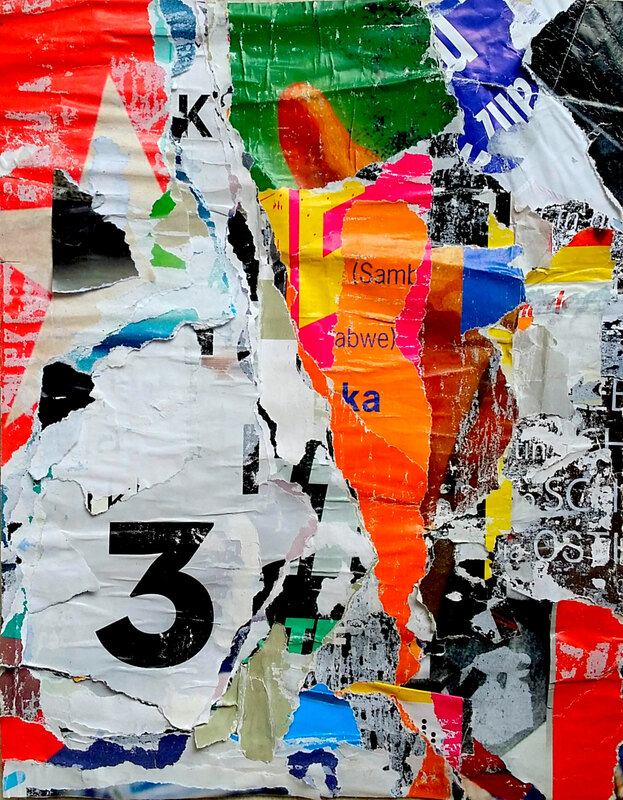 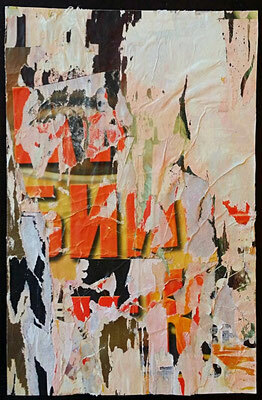 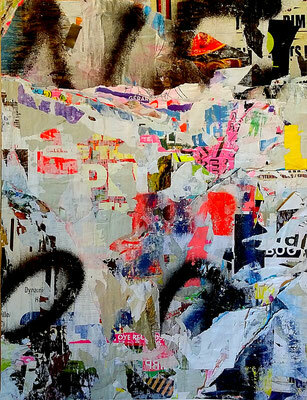 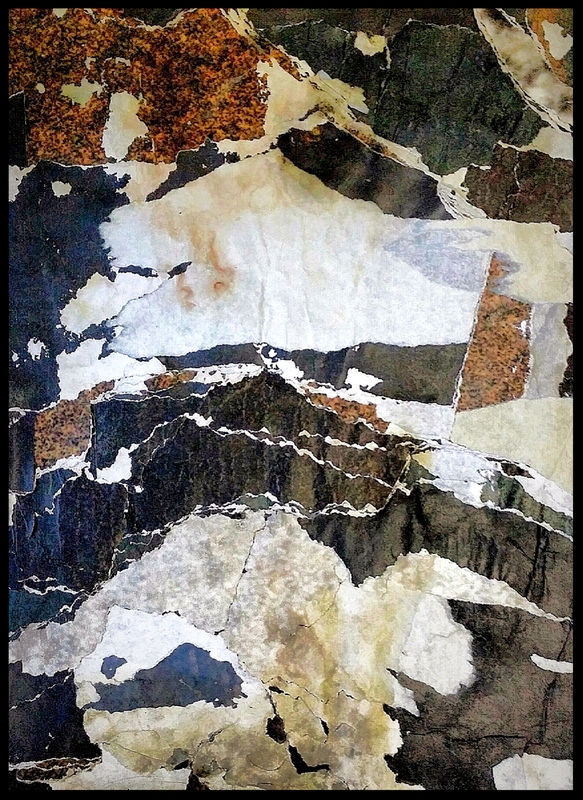 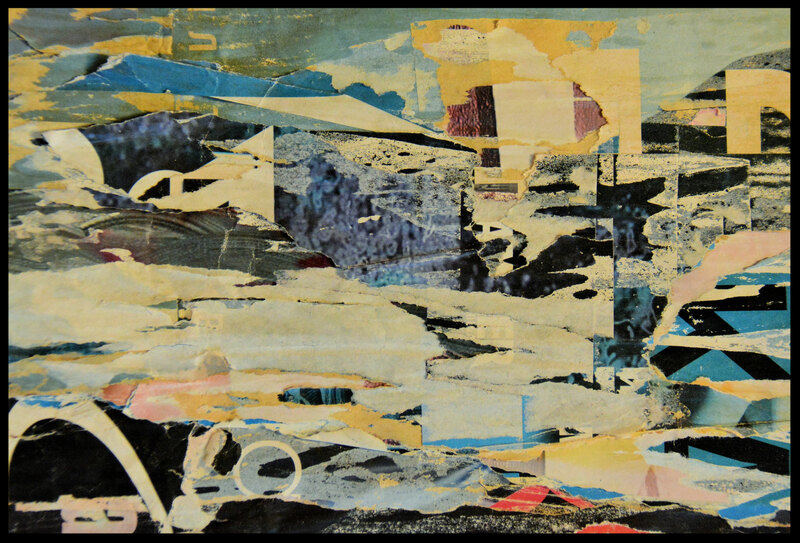 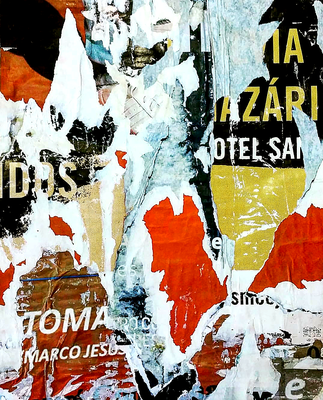 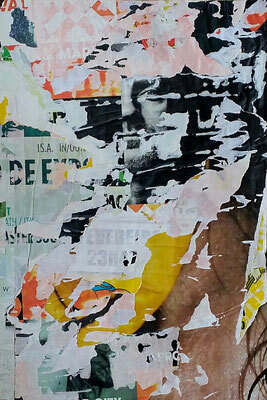 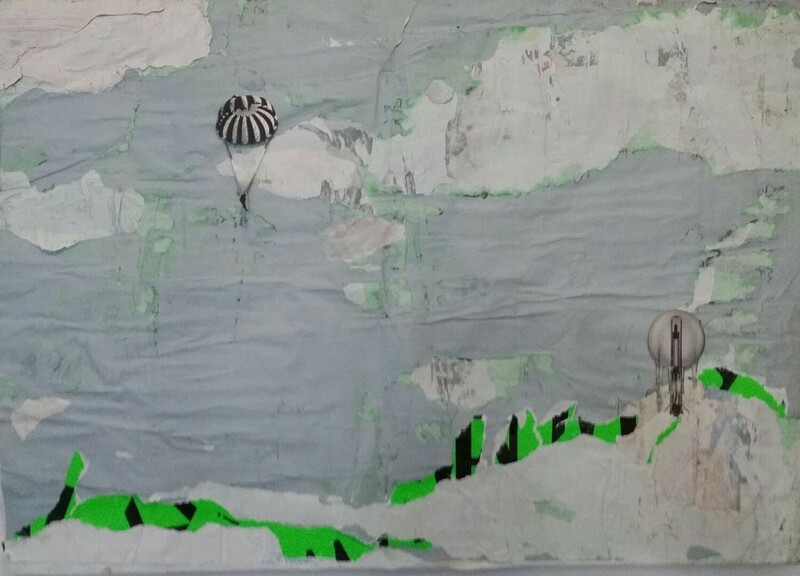 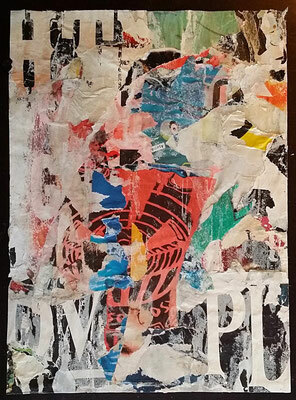 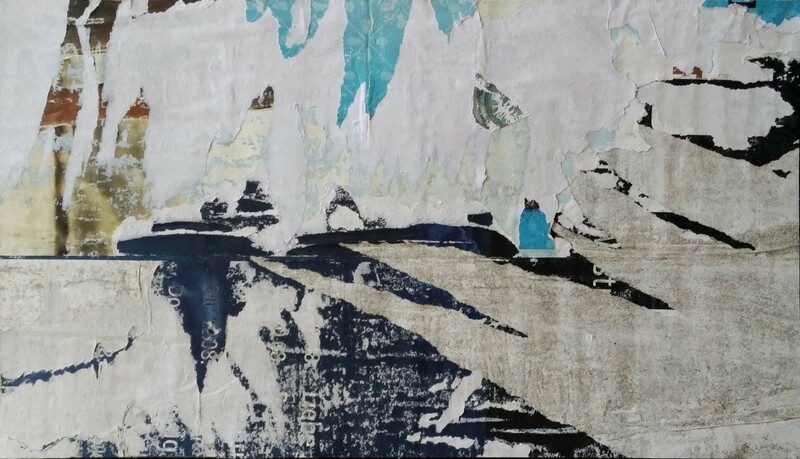 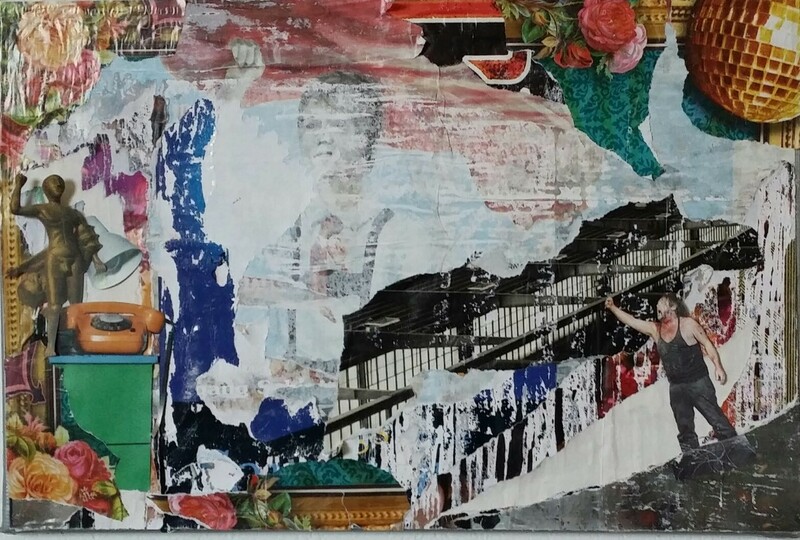 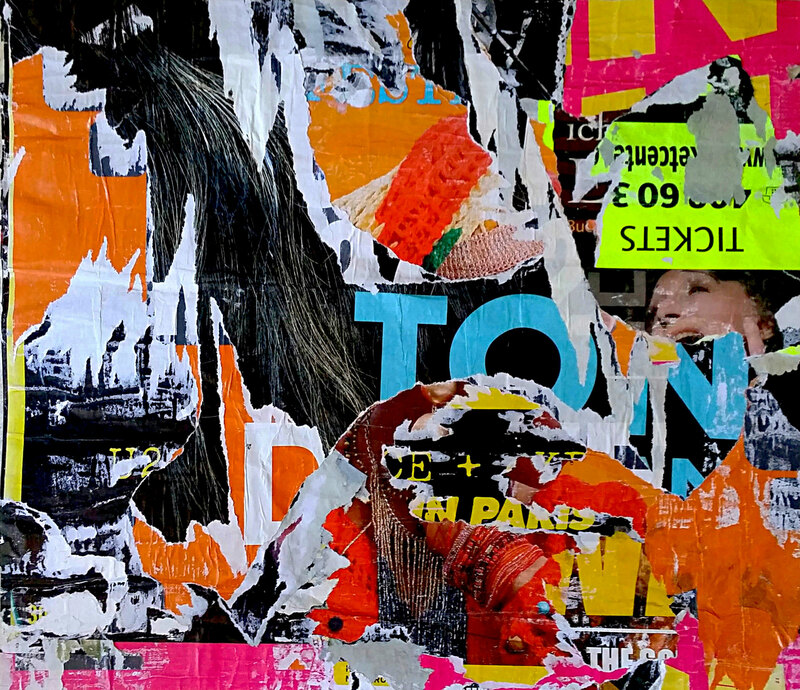 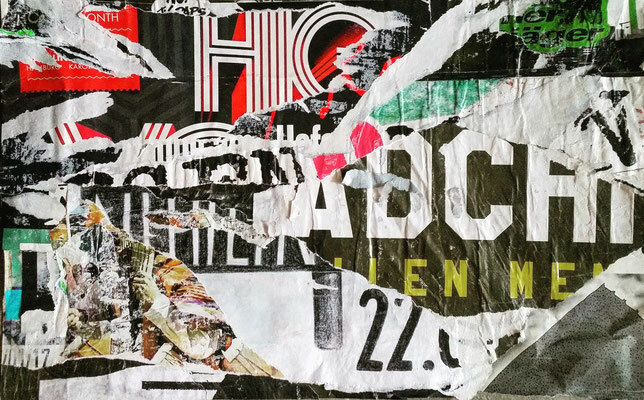 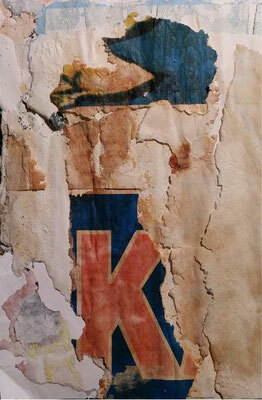 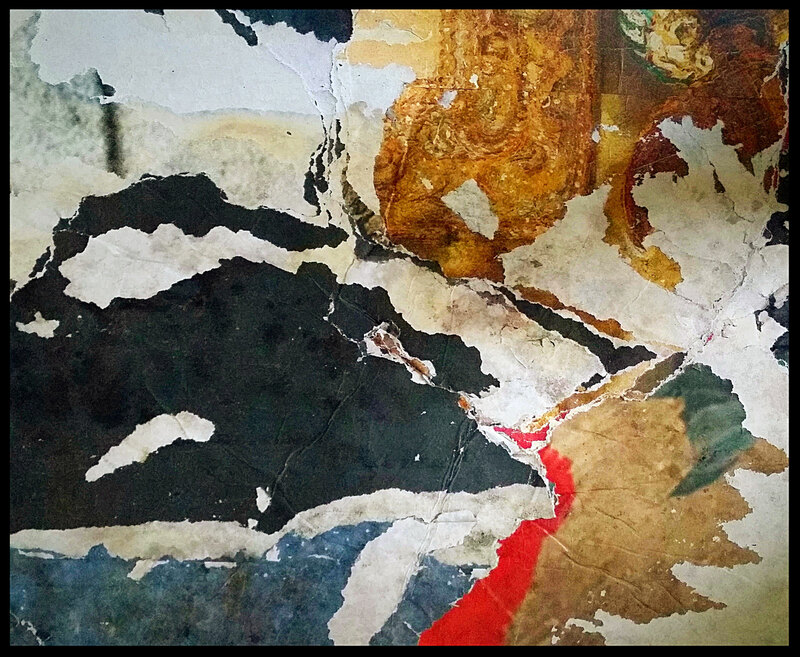 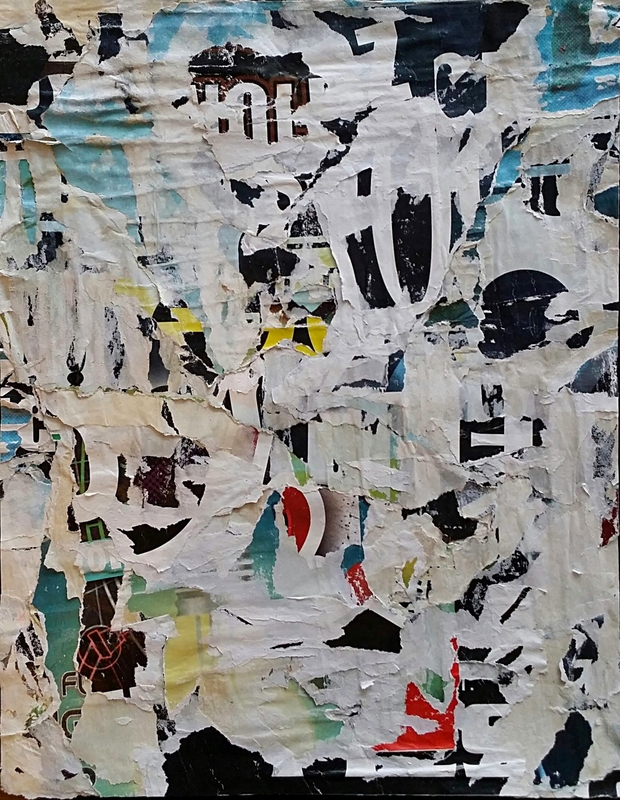 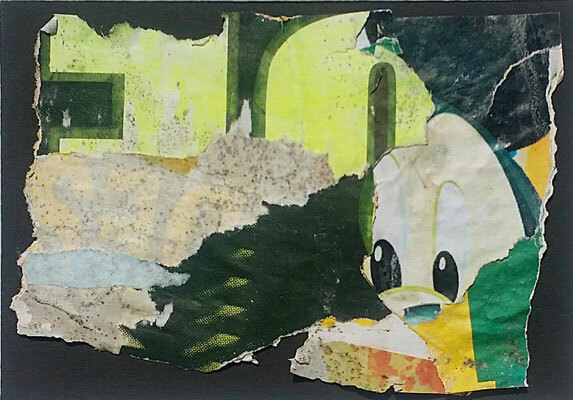 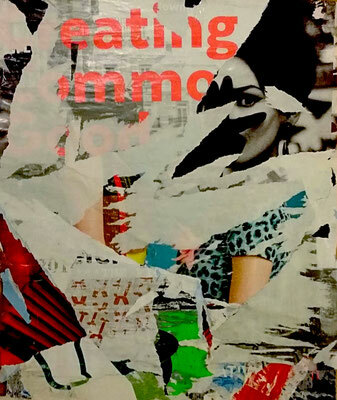 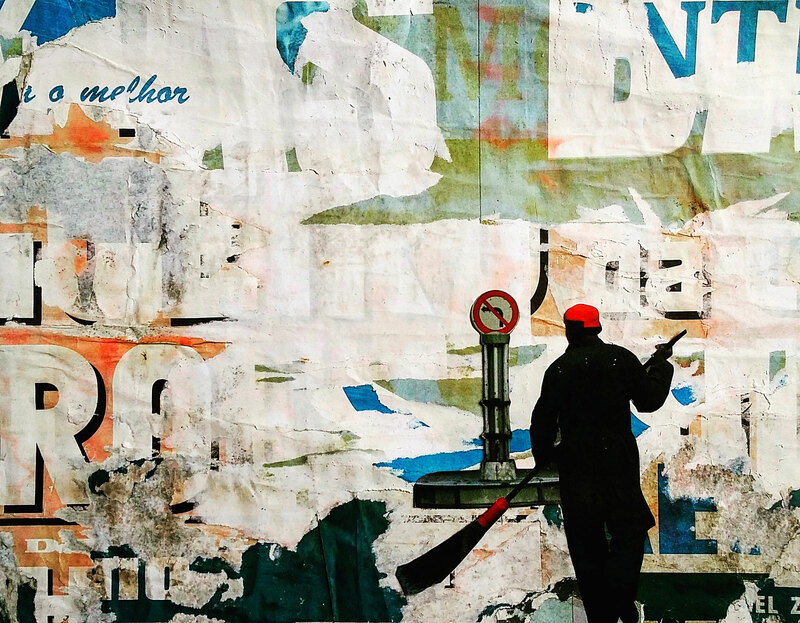 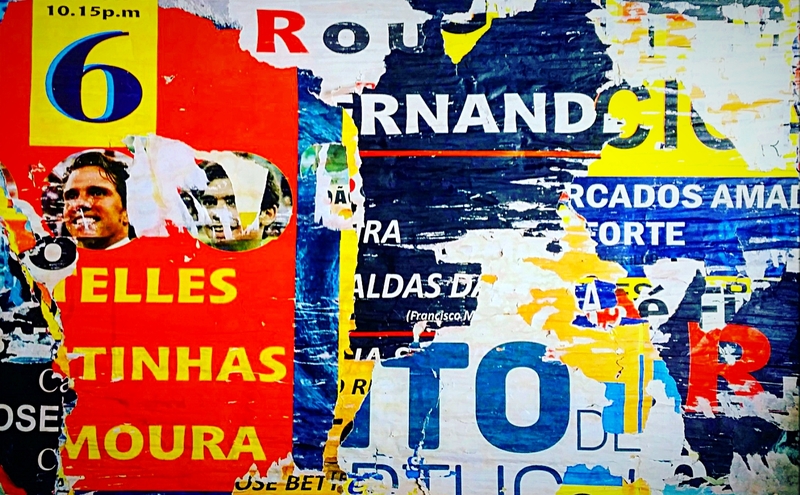 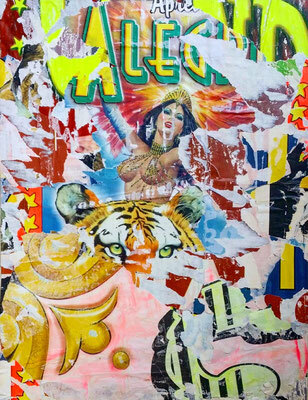 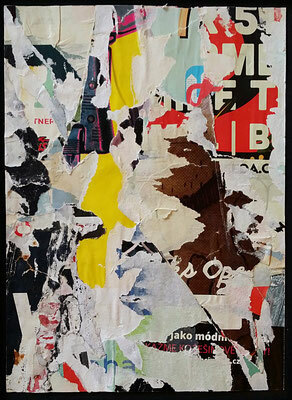 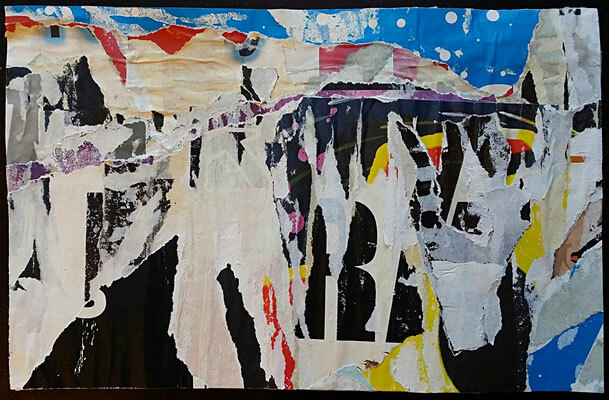 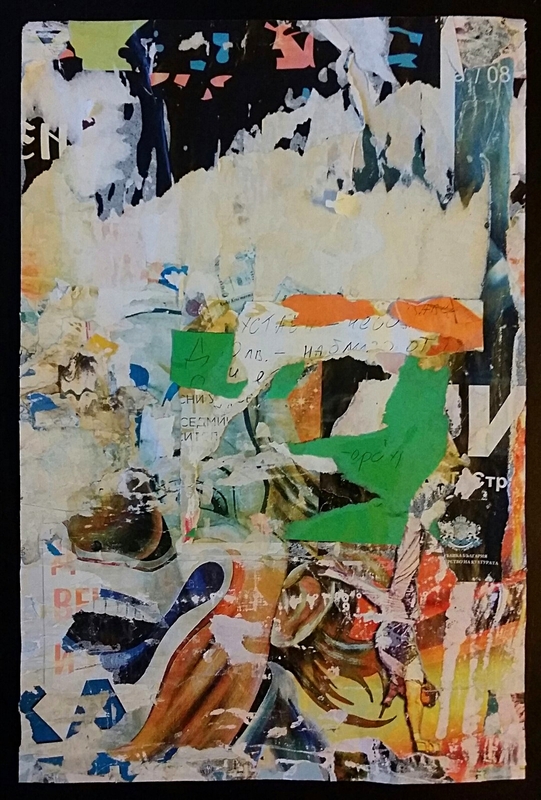 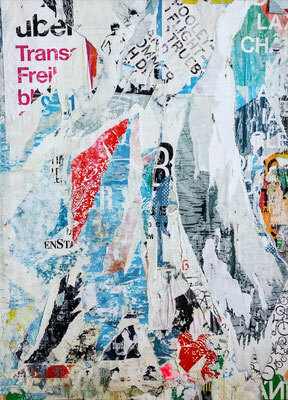 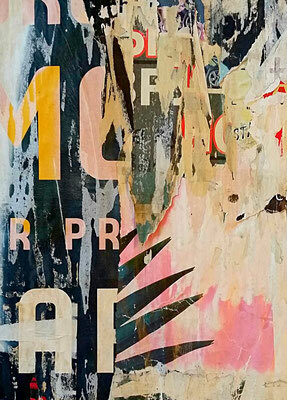 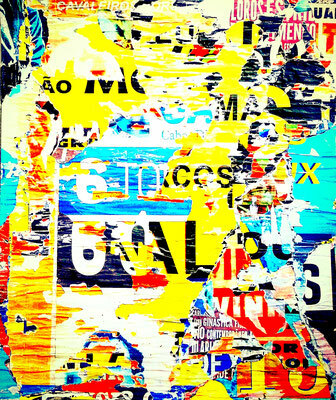 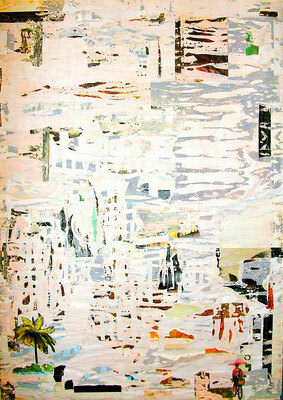 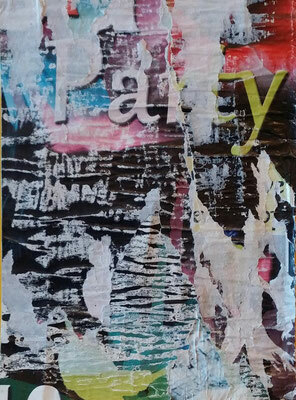 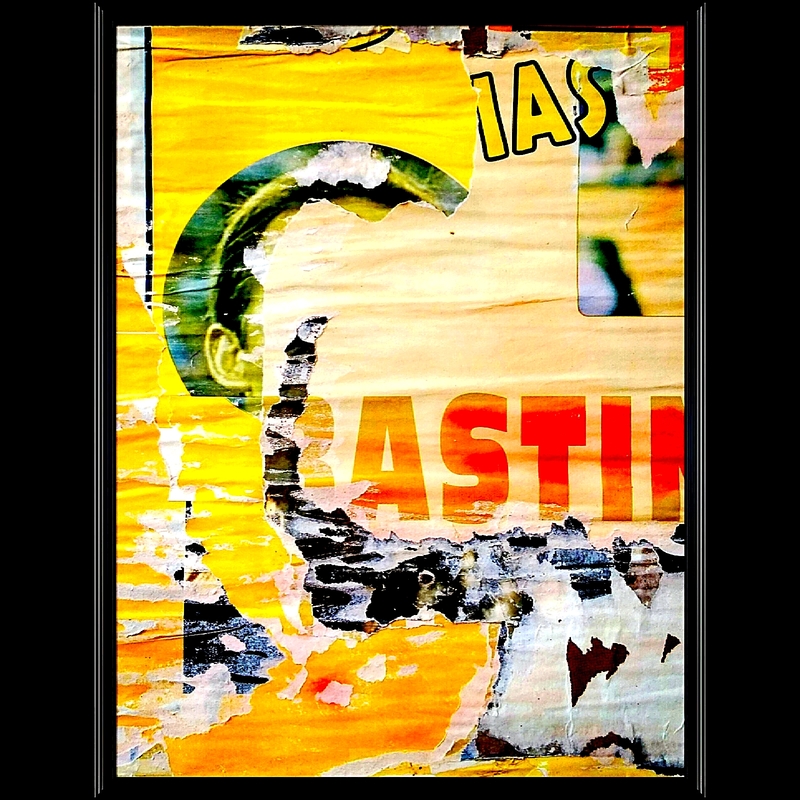 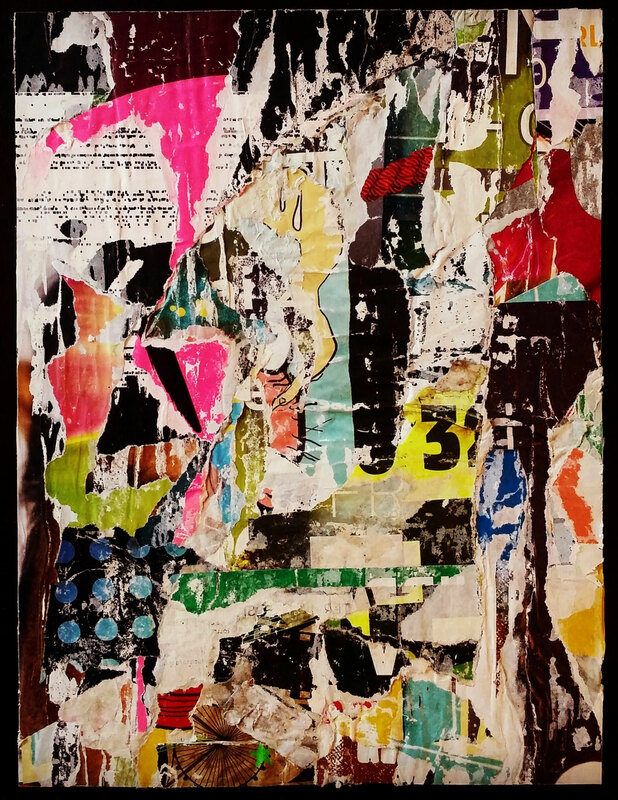 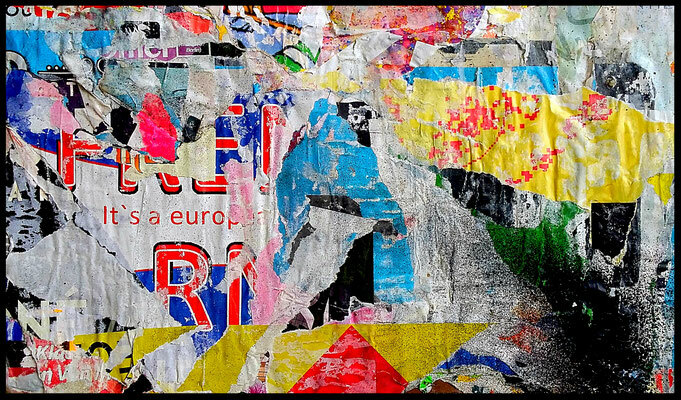 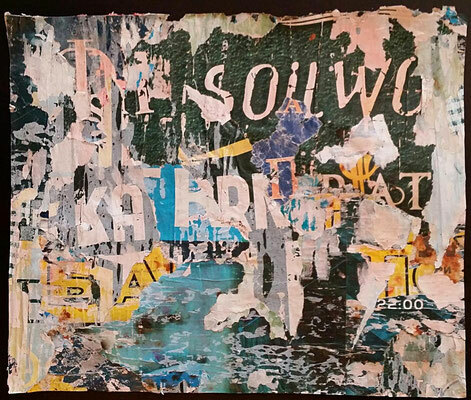 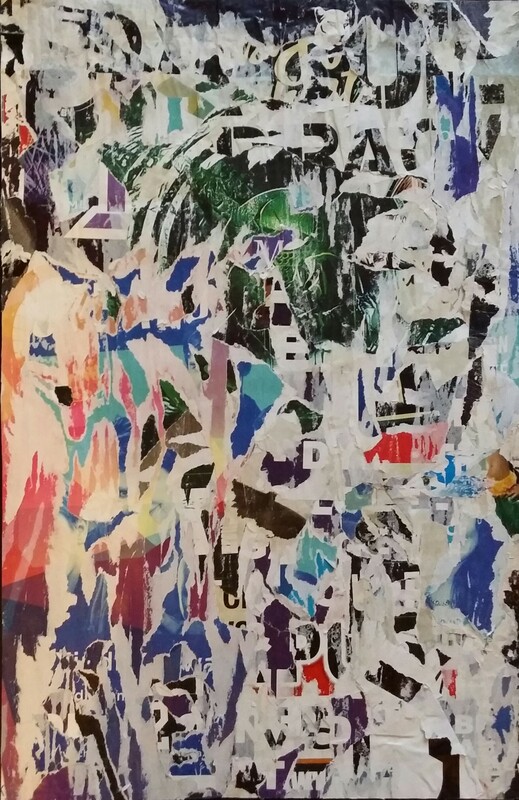 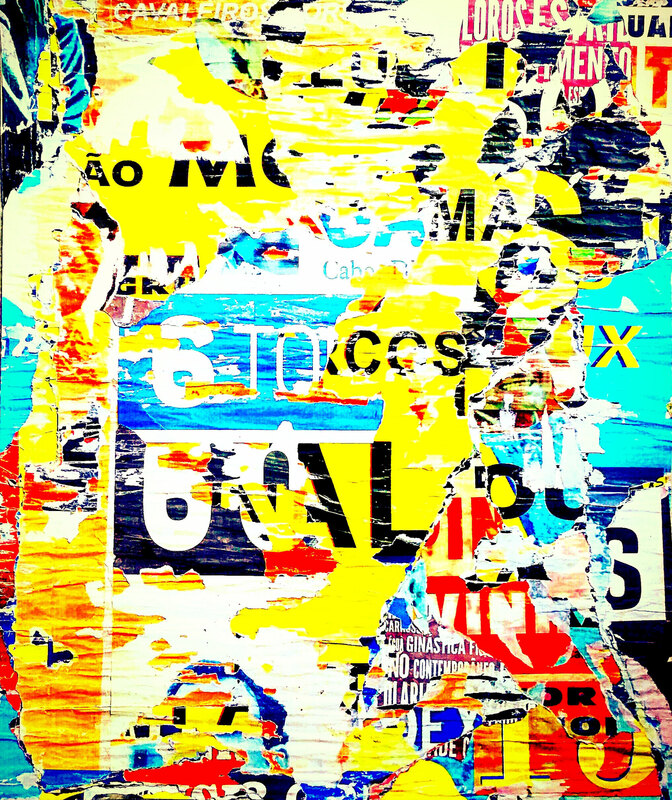 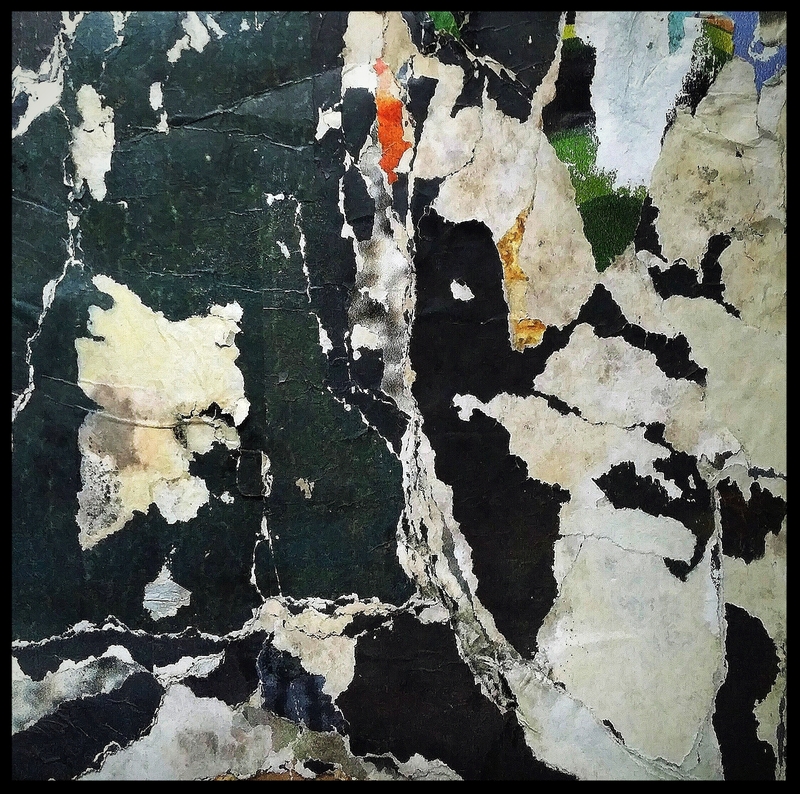 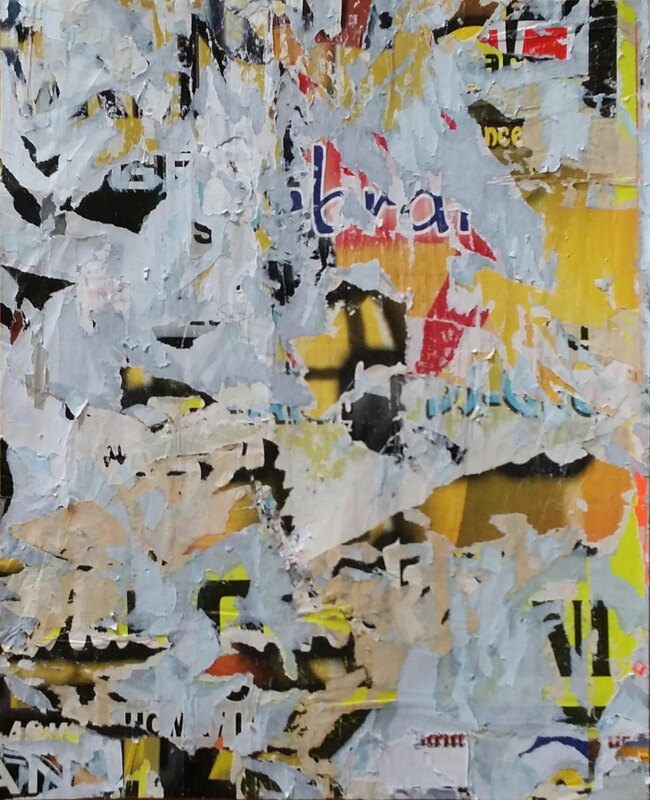 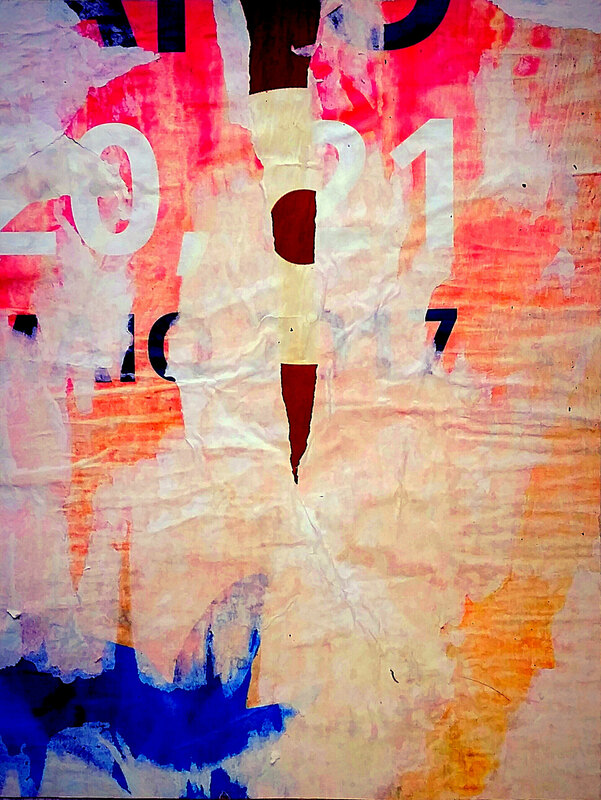 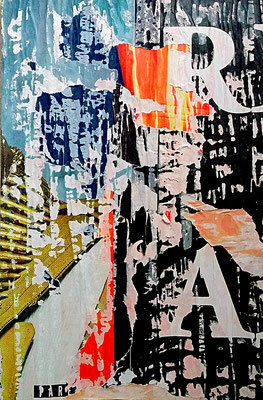 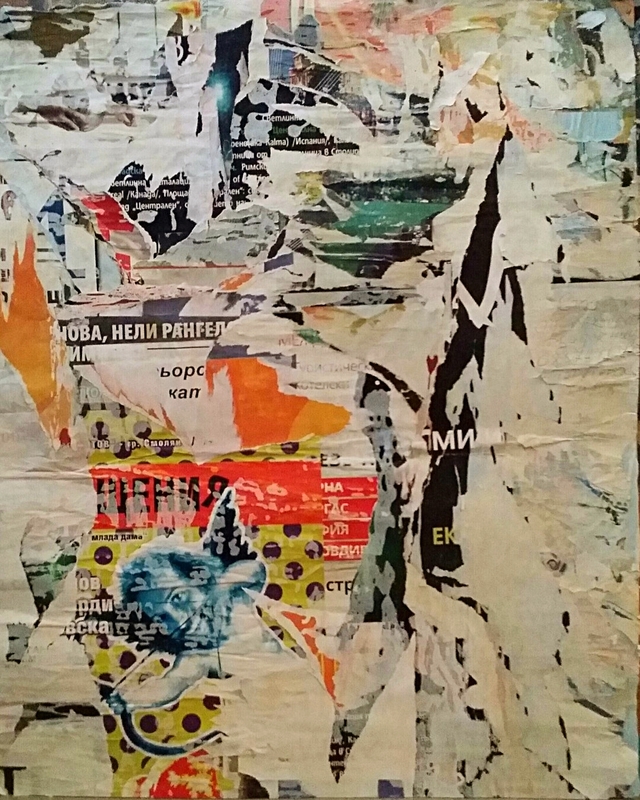 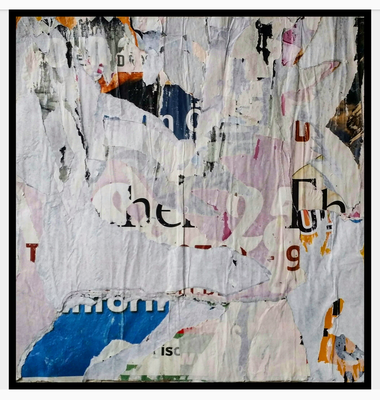 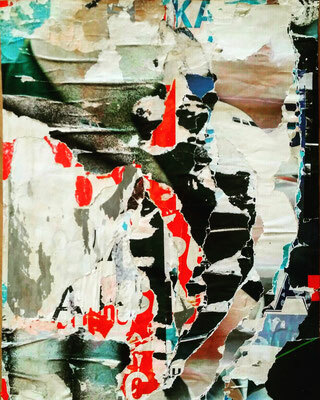 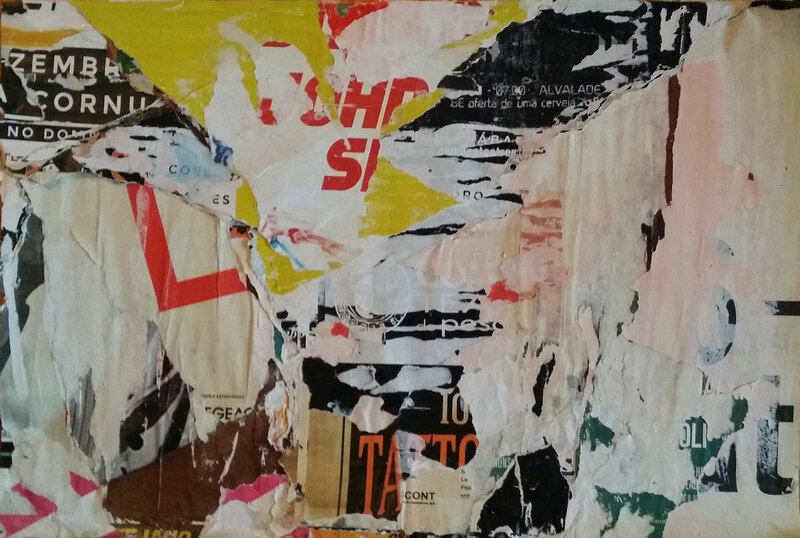 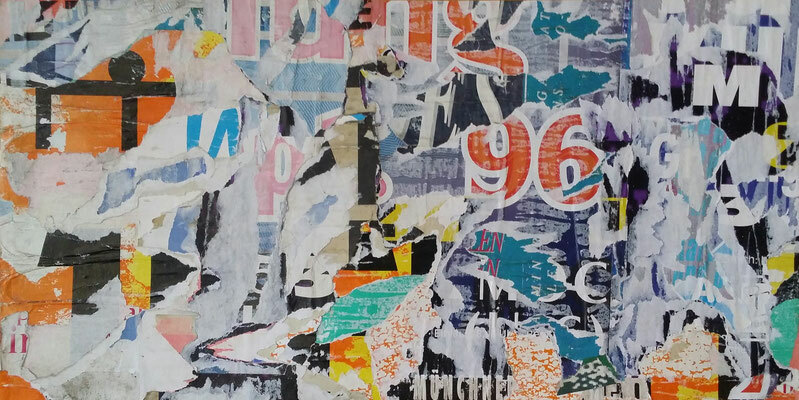 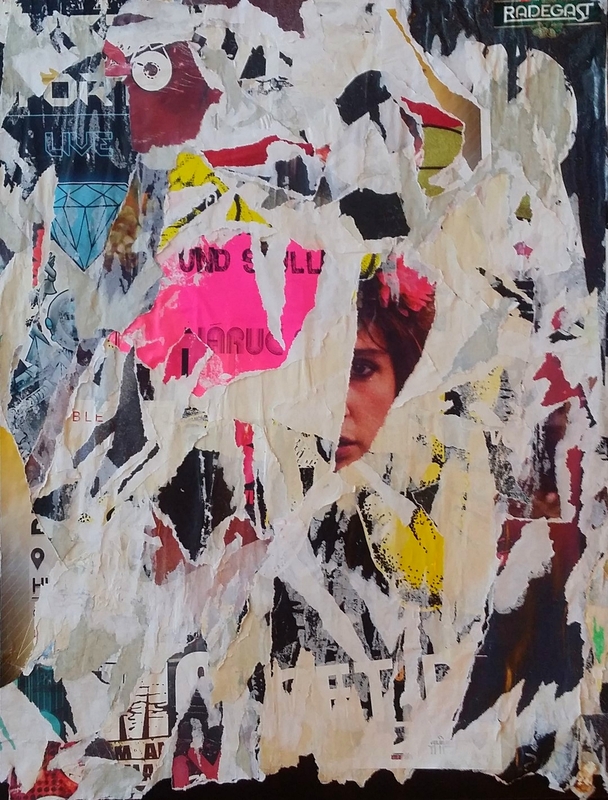 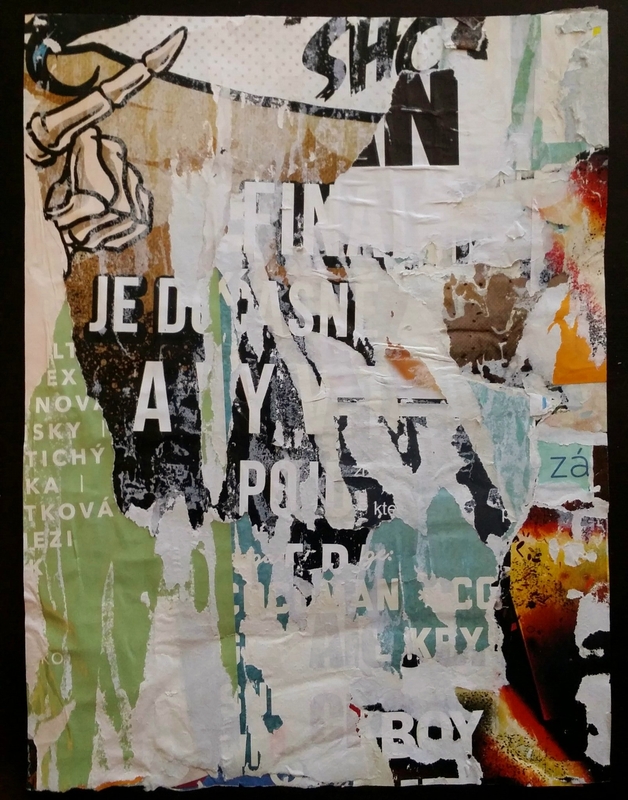 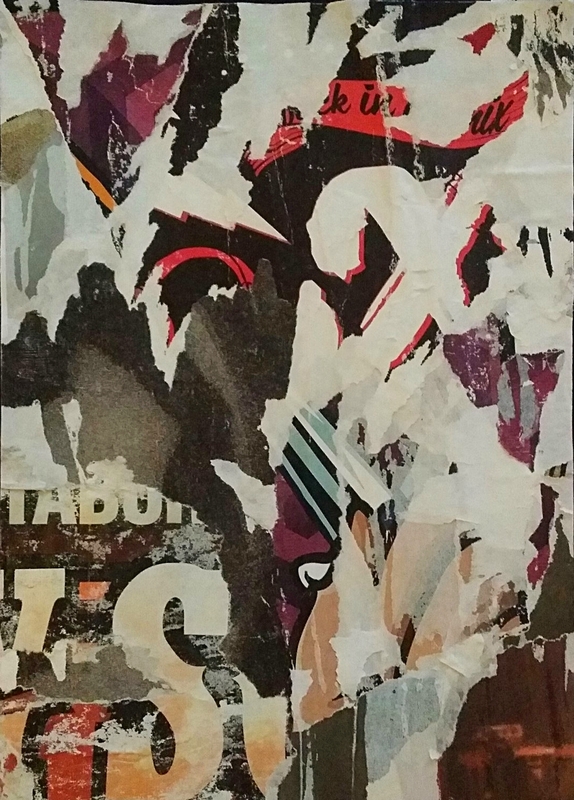 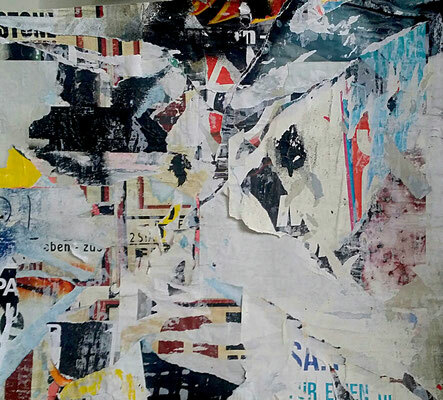 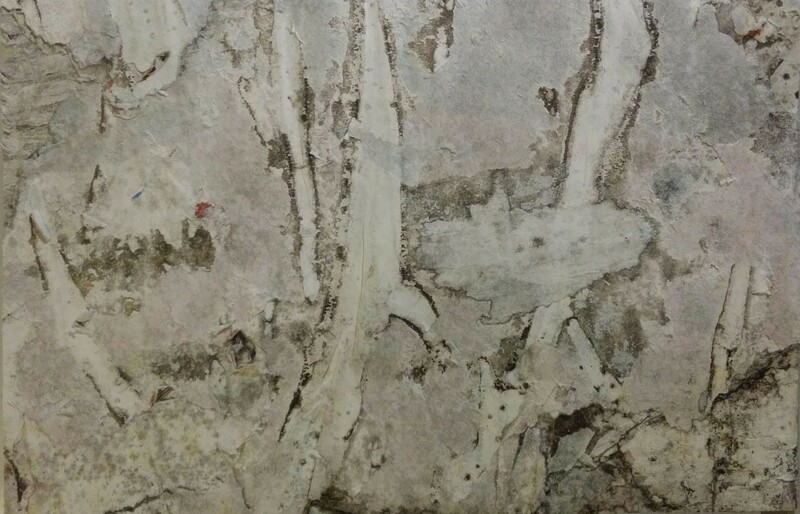 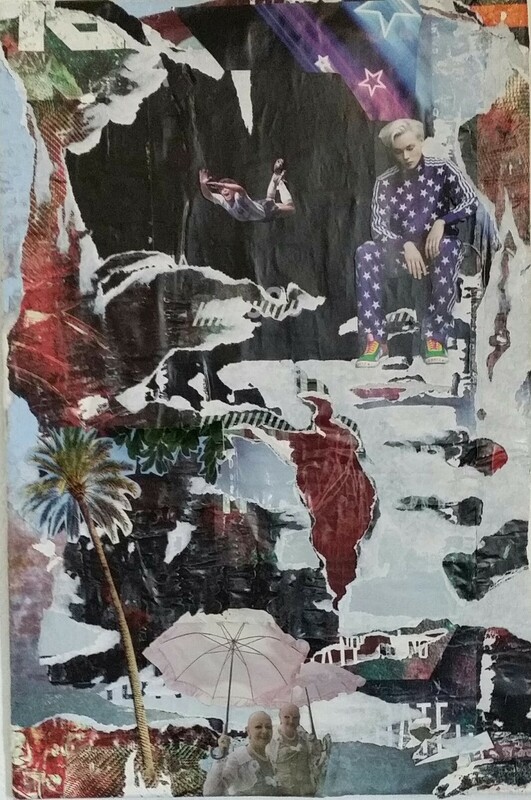 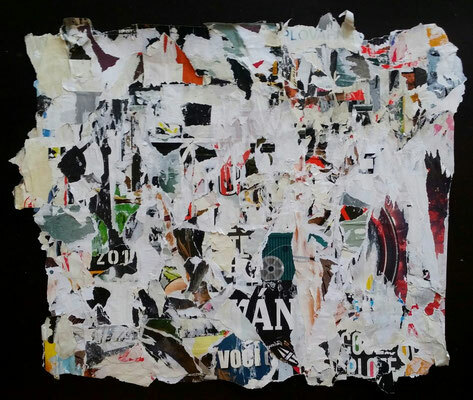 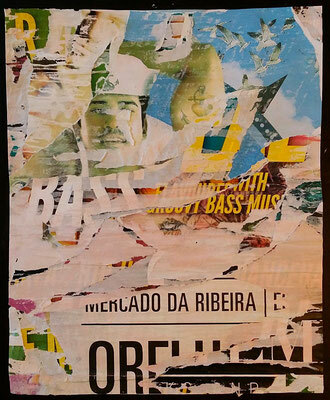 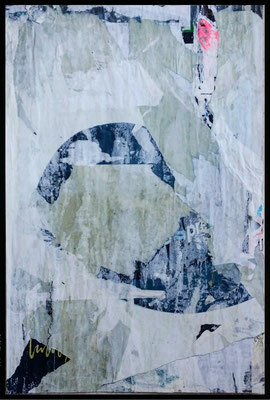 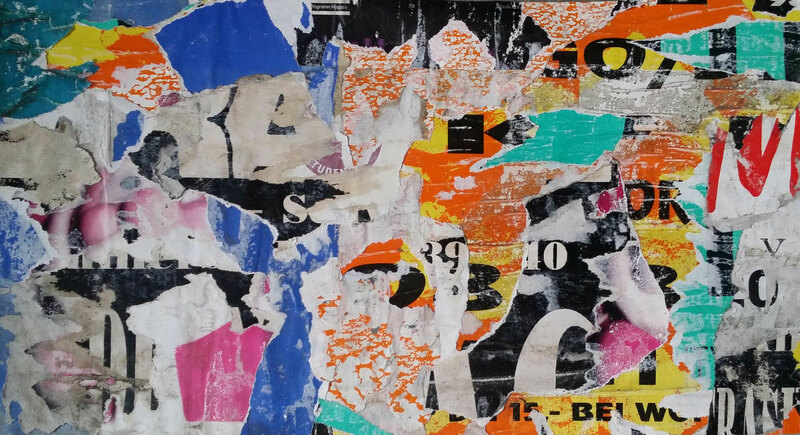 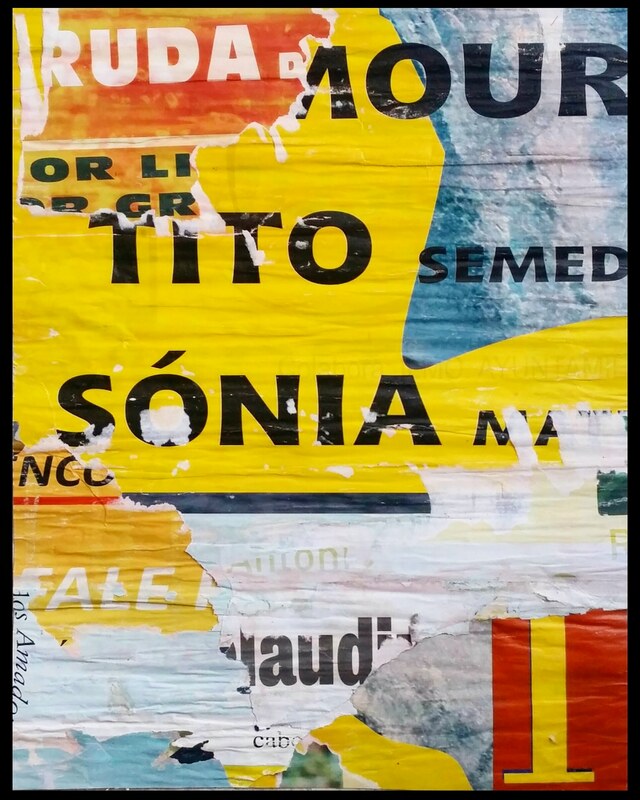 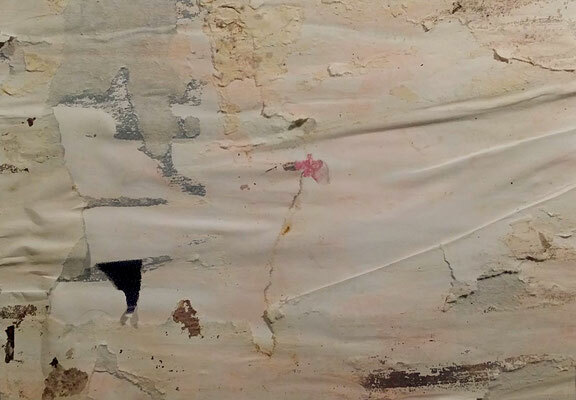 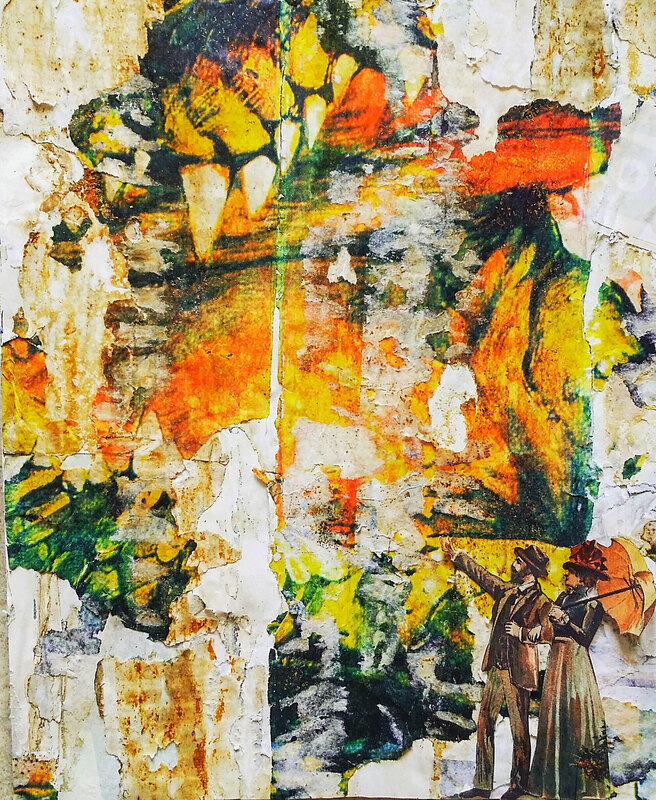 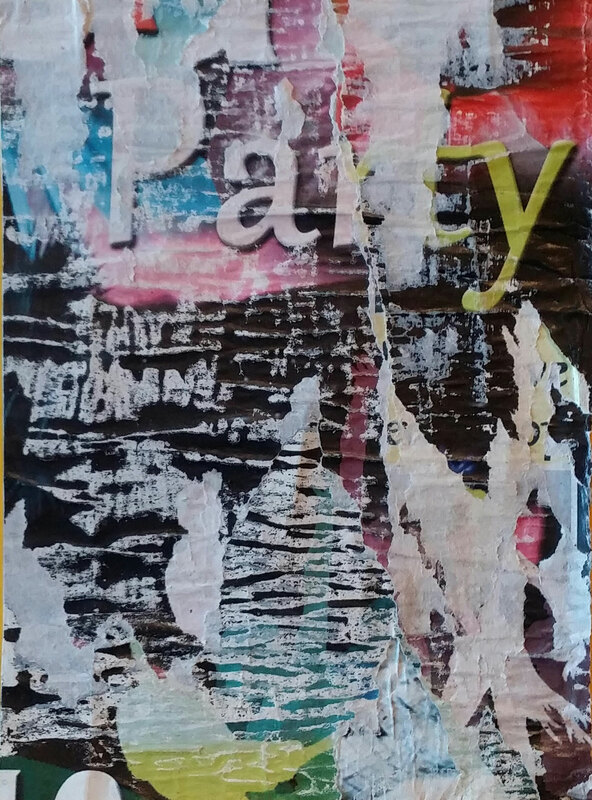 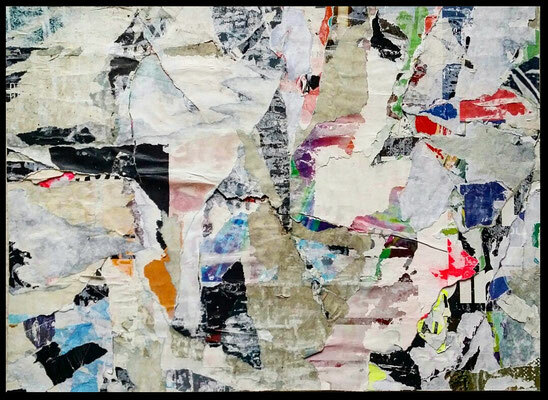 Décollages are also known as affiche (from the french verb "afficher", which means to post posters on a billboard). 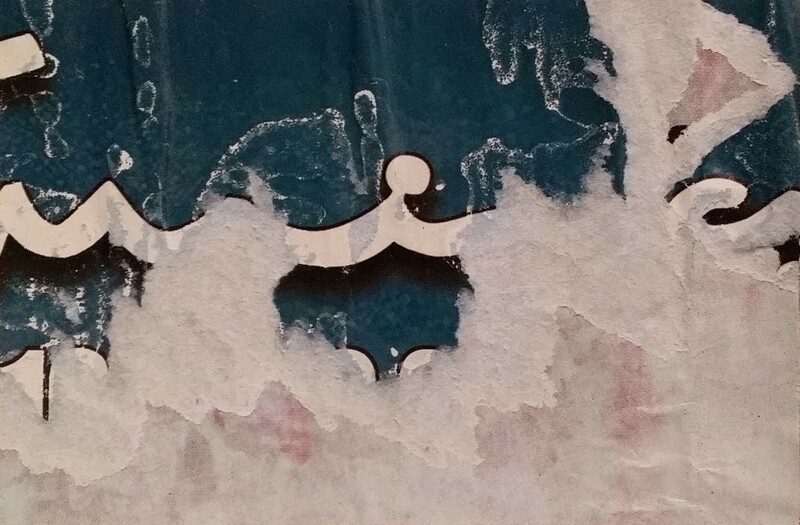 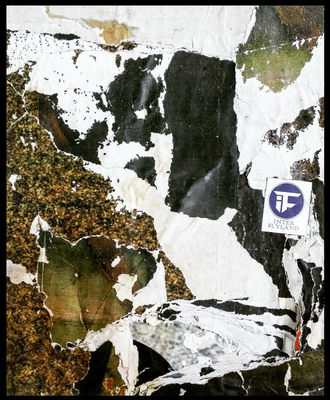 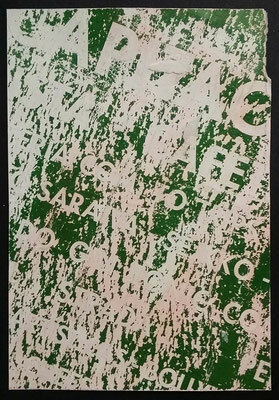 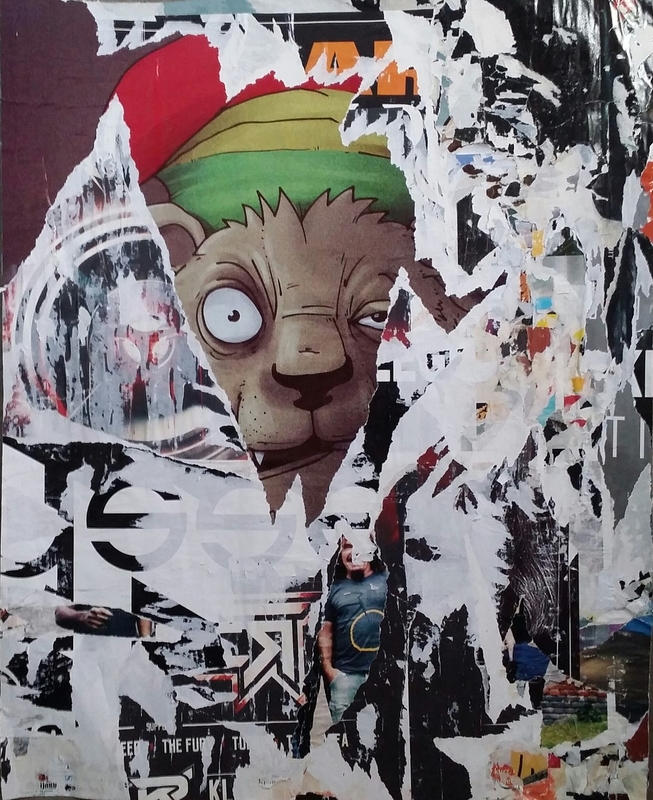 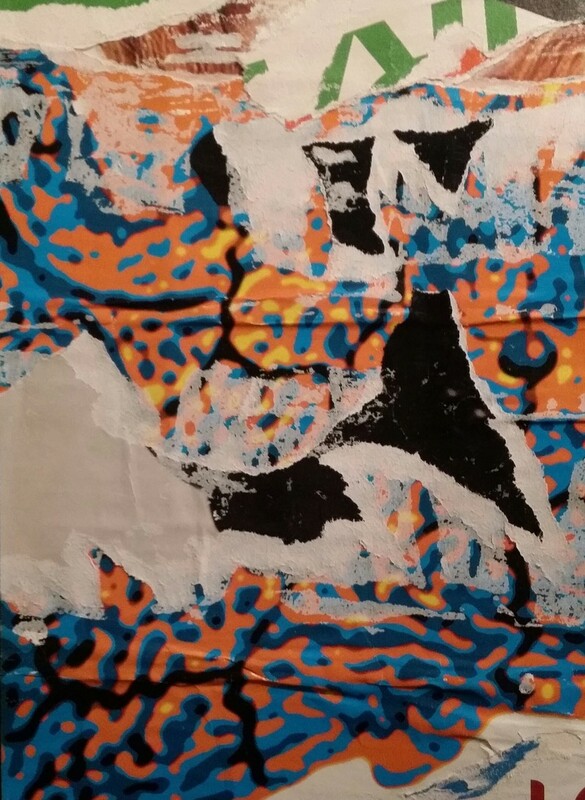 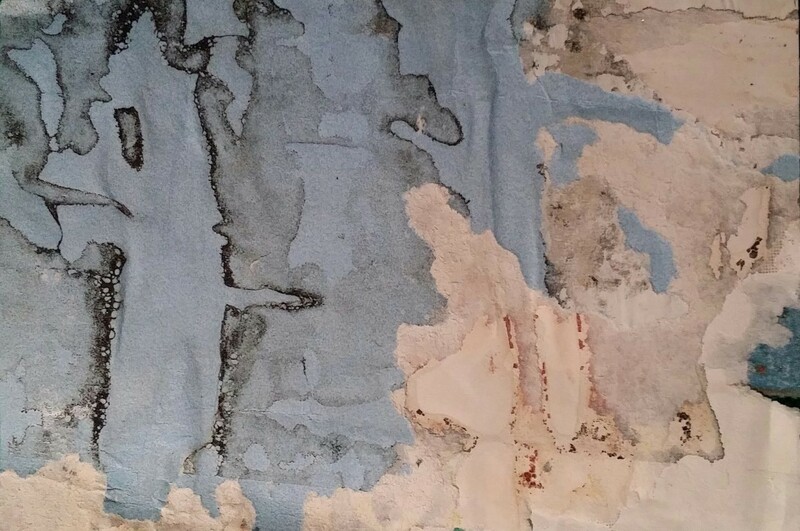 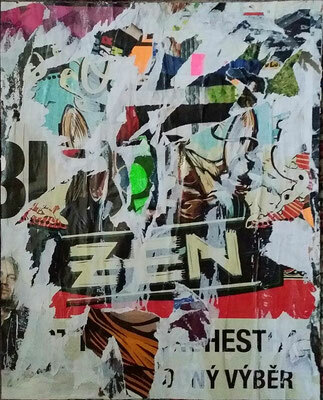 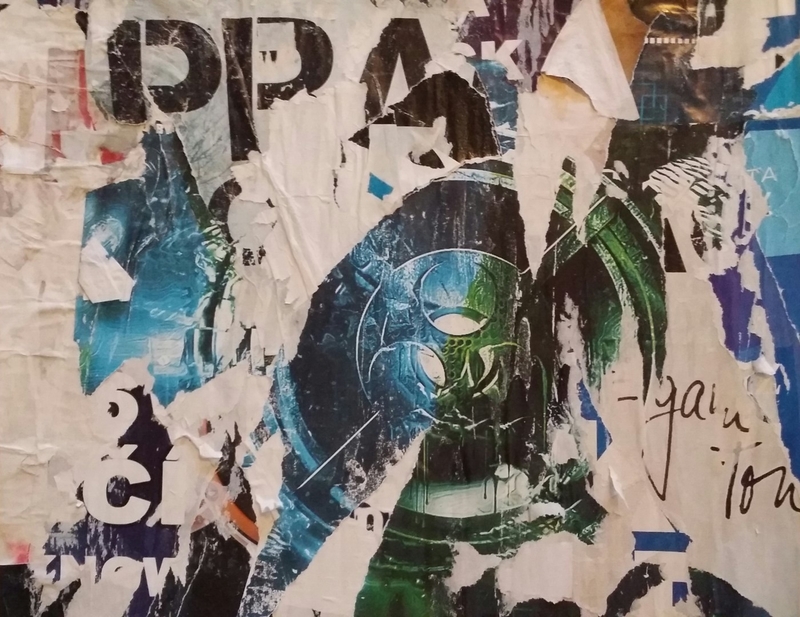 You will find hastags on the internet like #ripped #tornposter #rippedposters #urbanglitch or #plakatabriss. 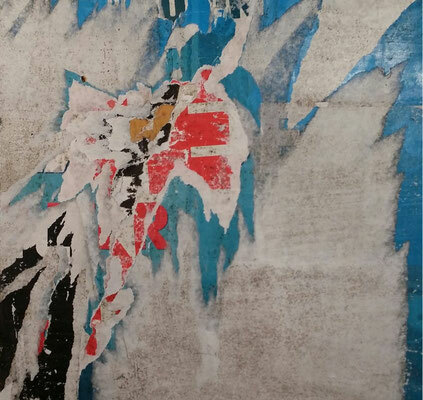 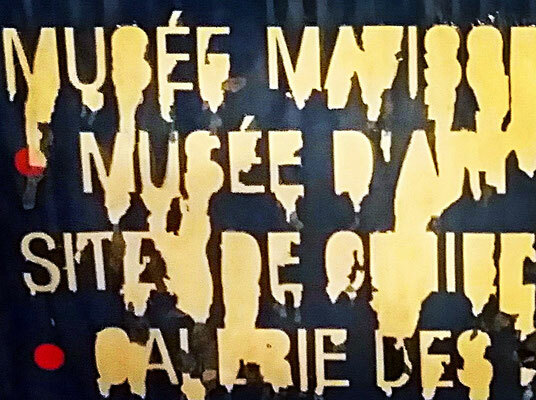 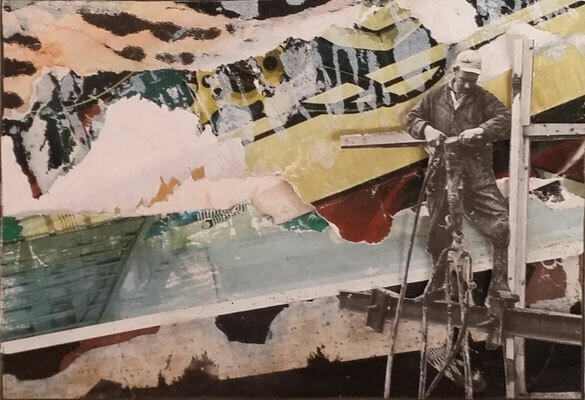 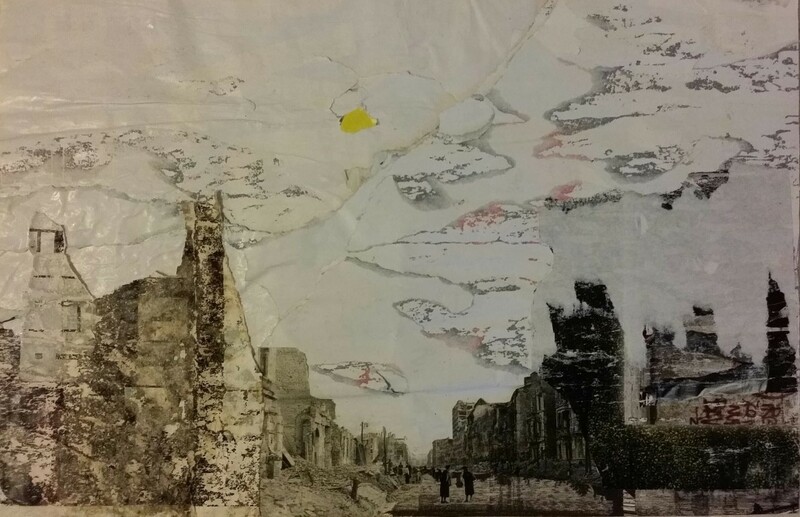 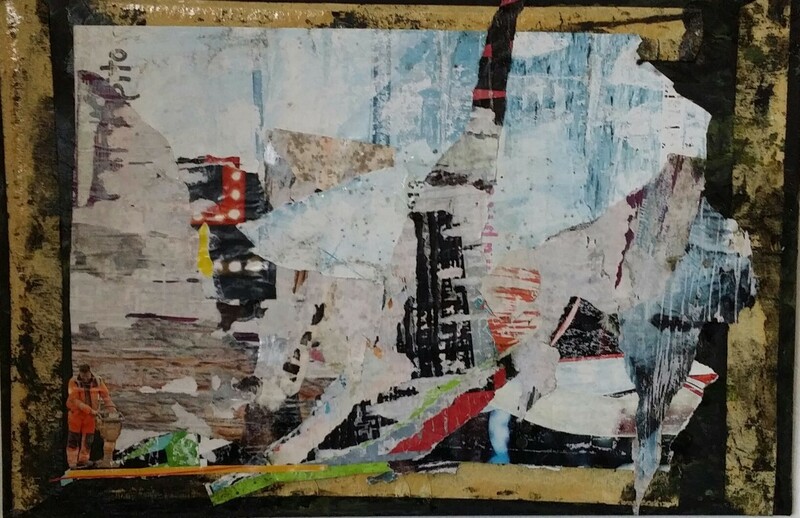 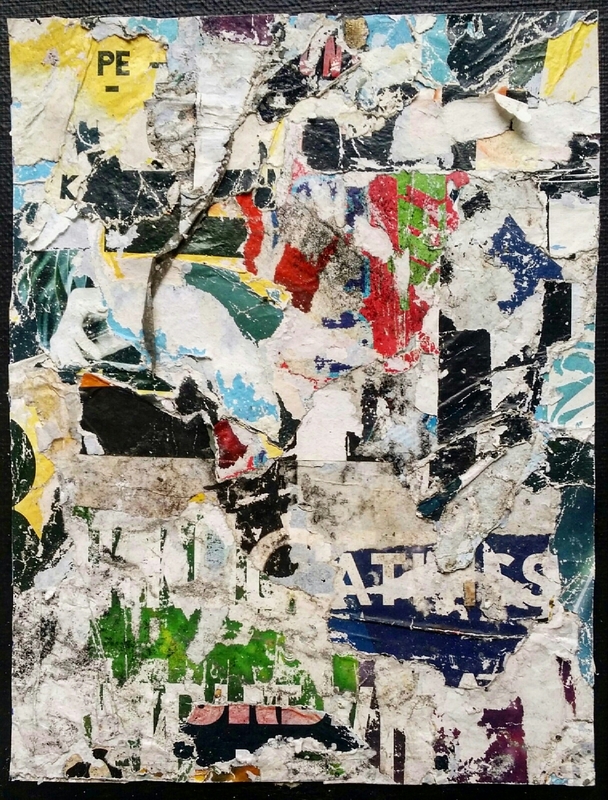 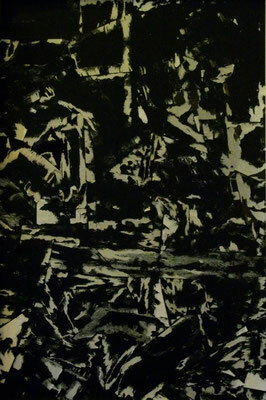 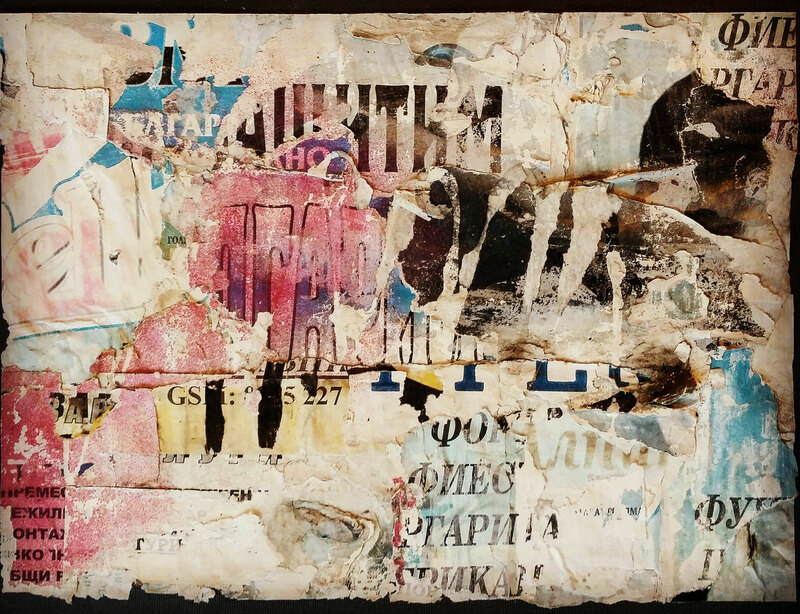 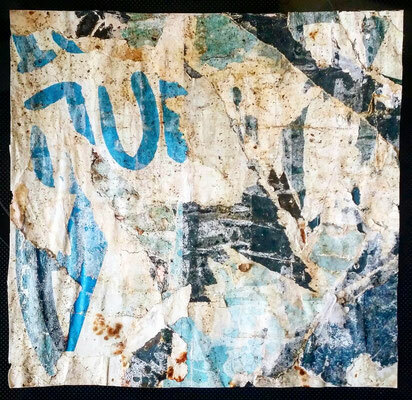 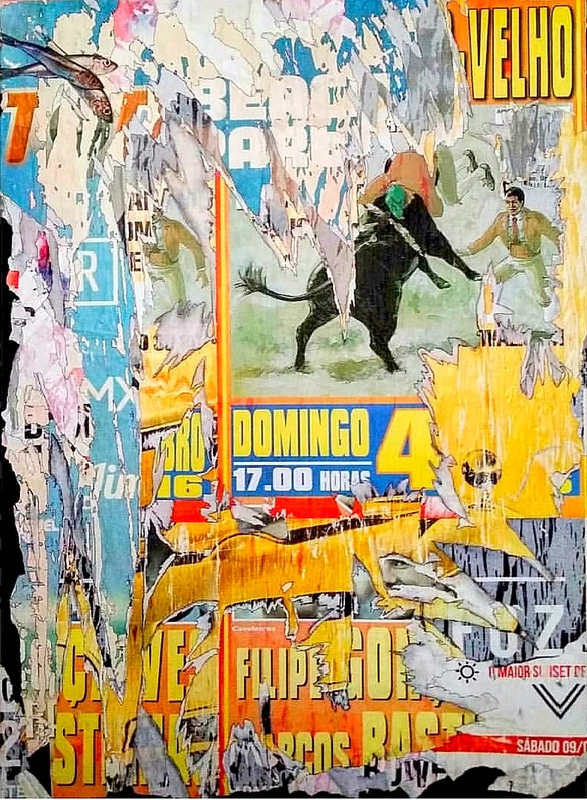 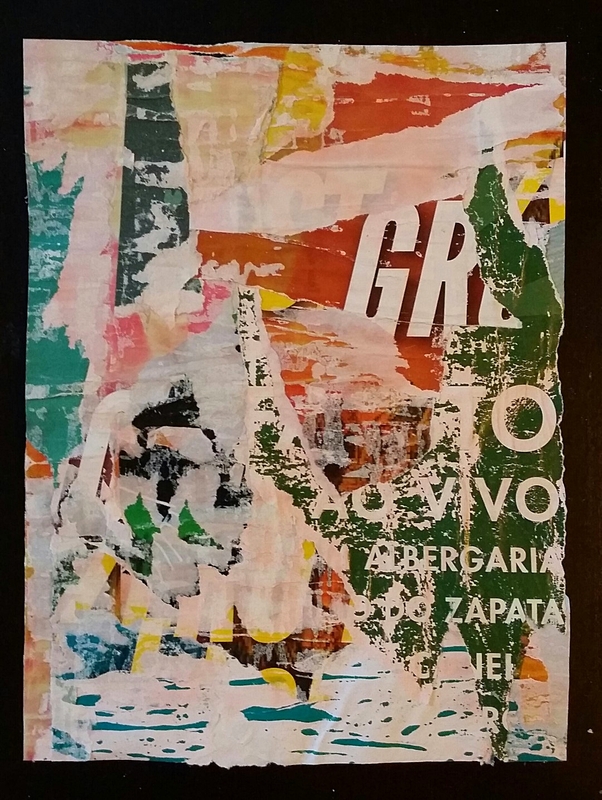 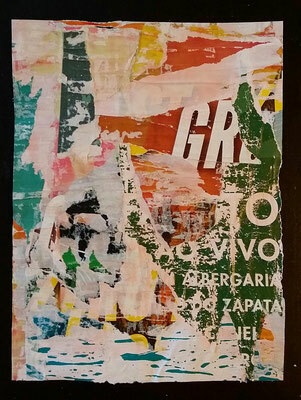 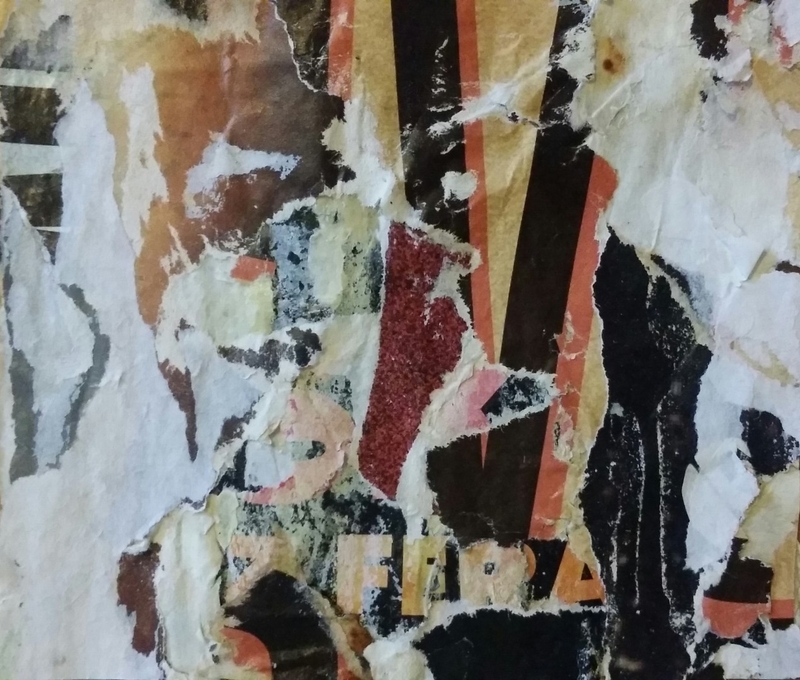 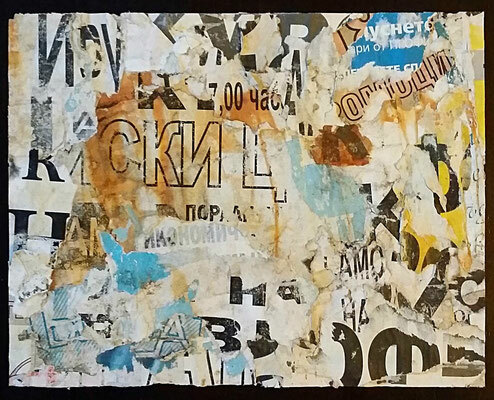 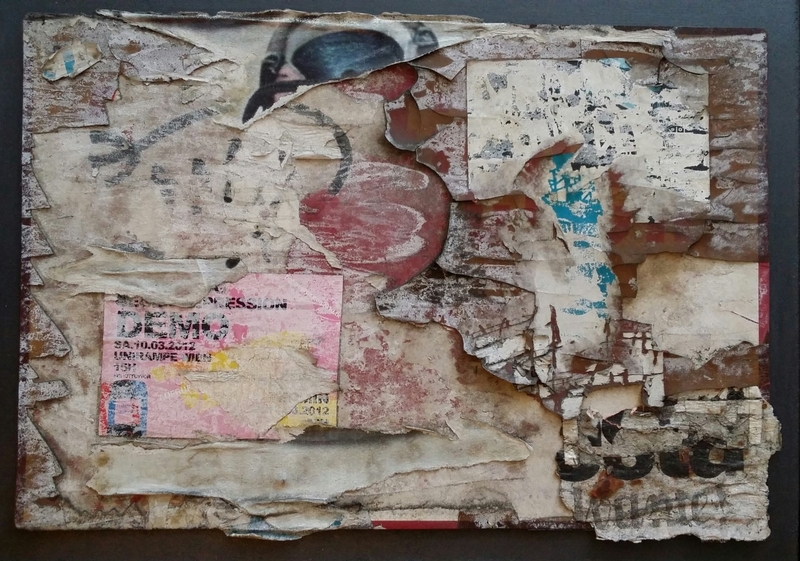 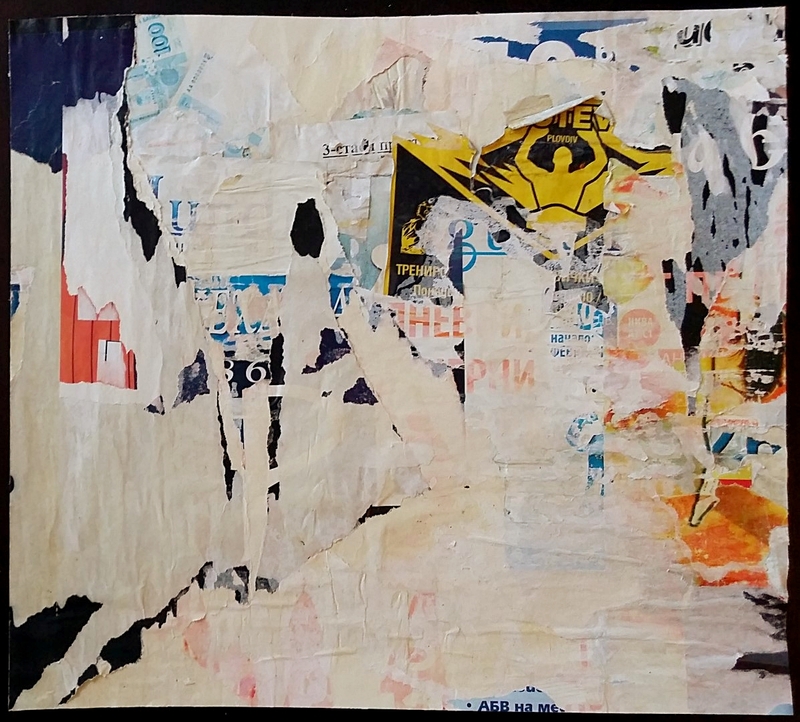 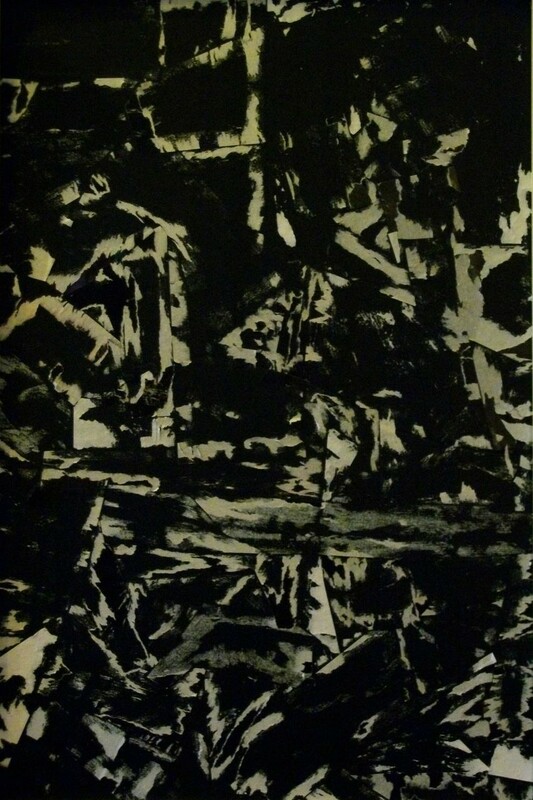 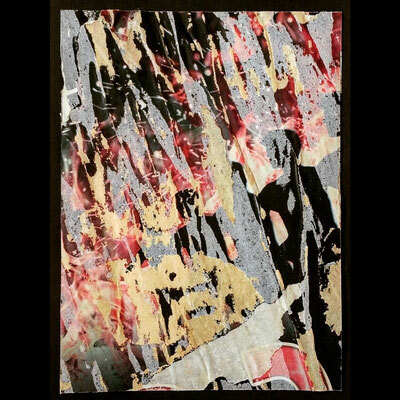 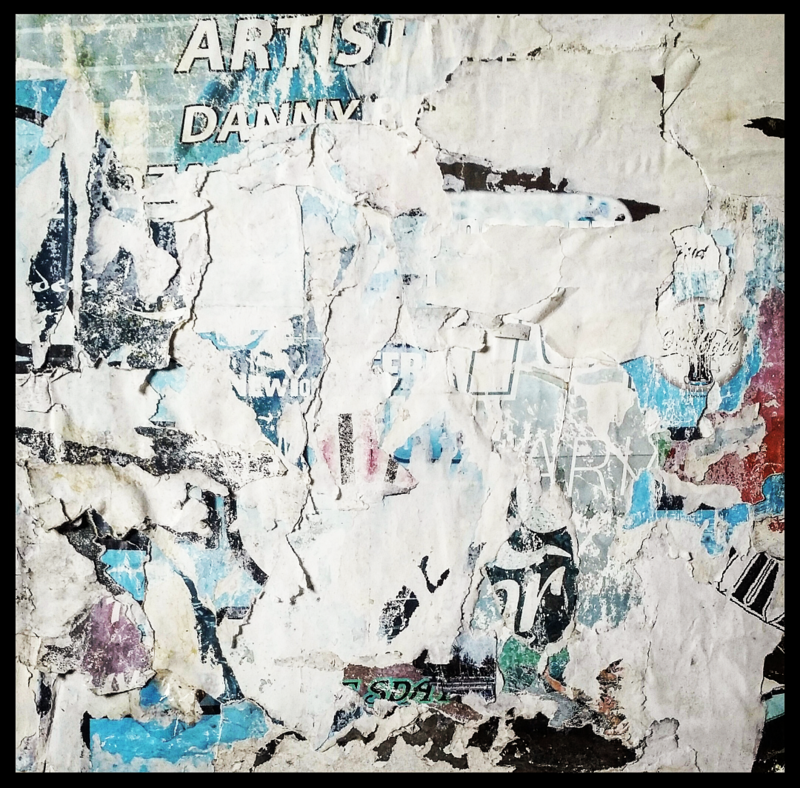 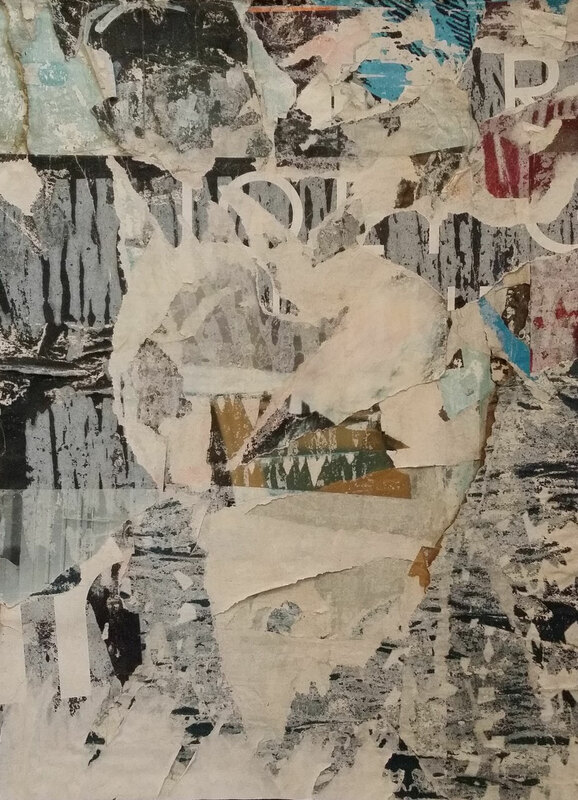 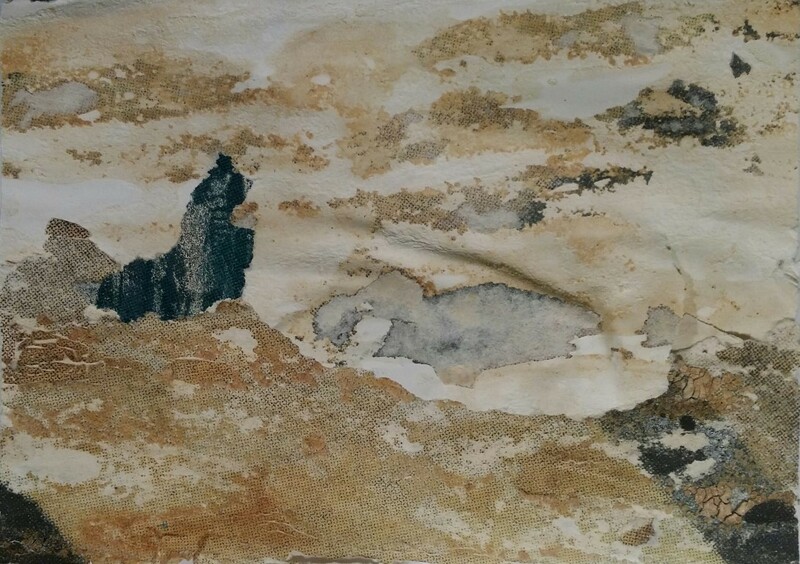 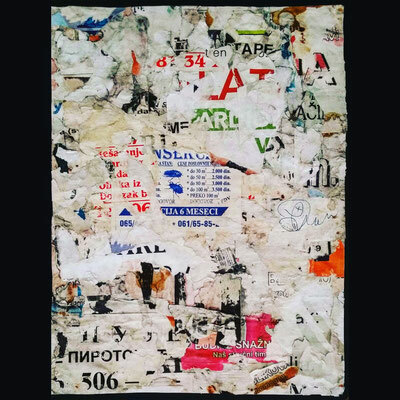 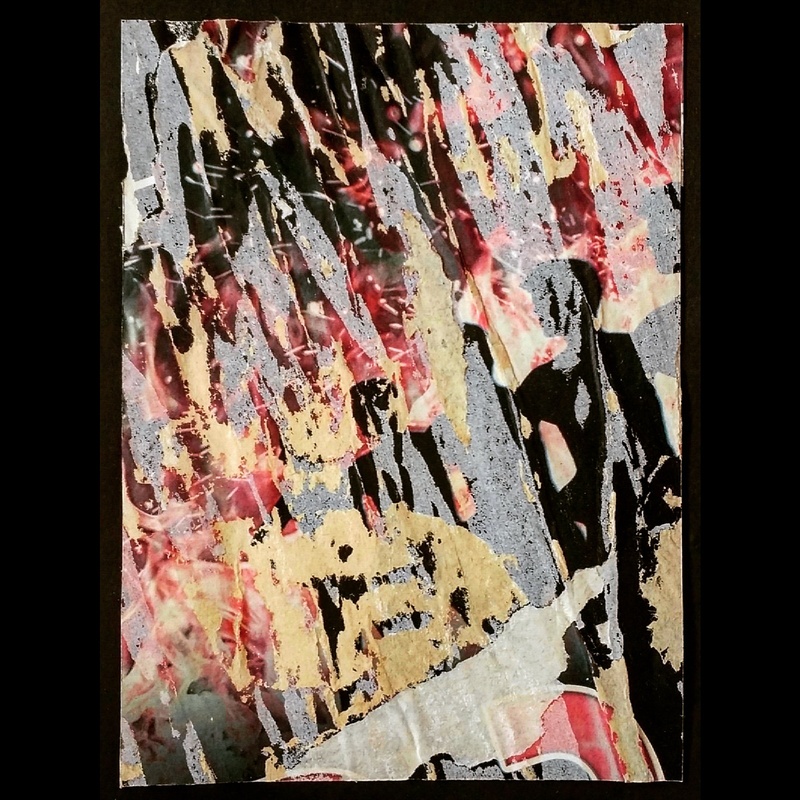 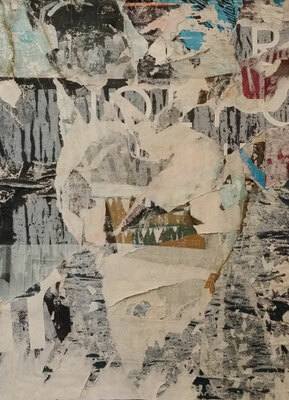 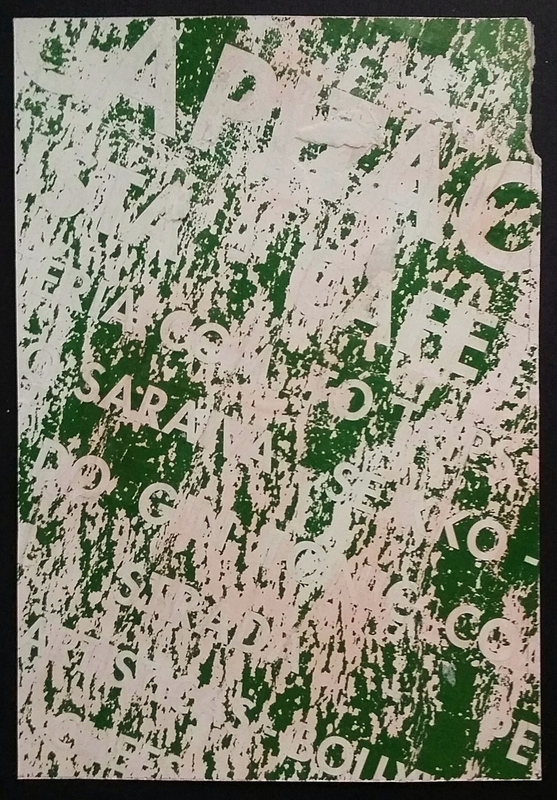 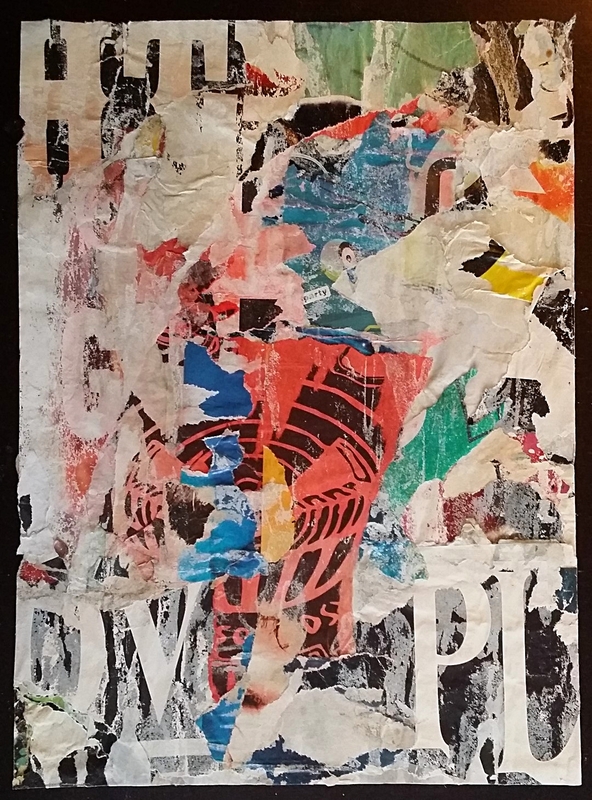 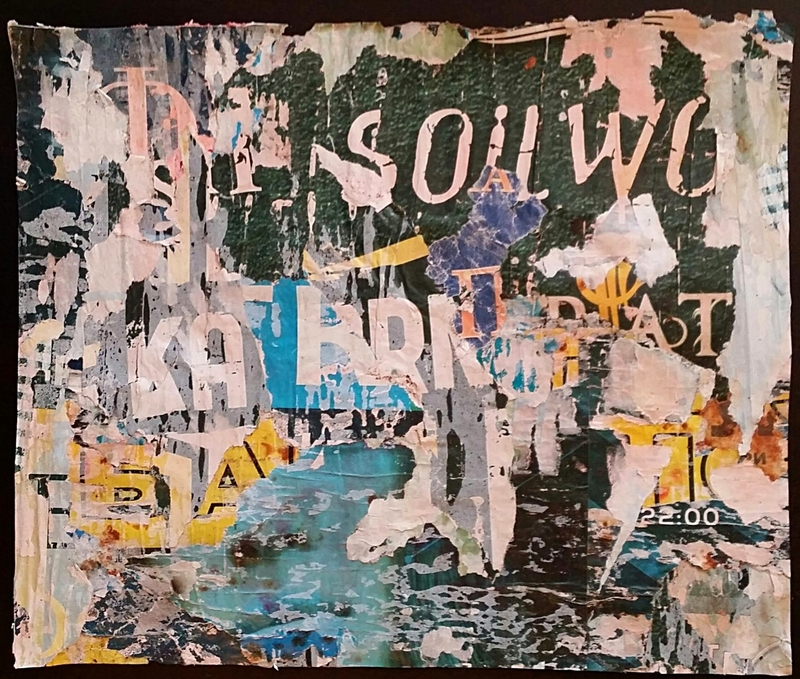 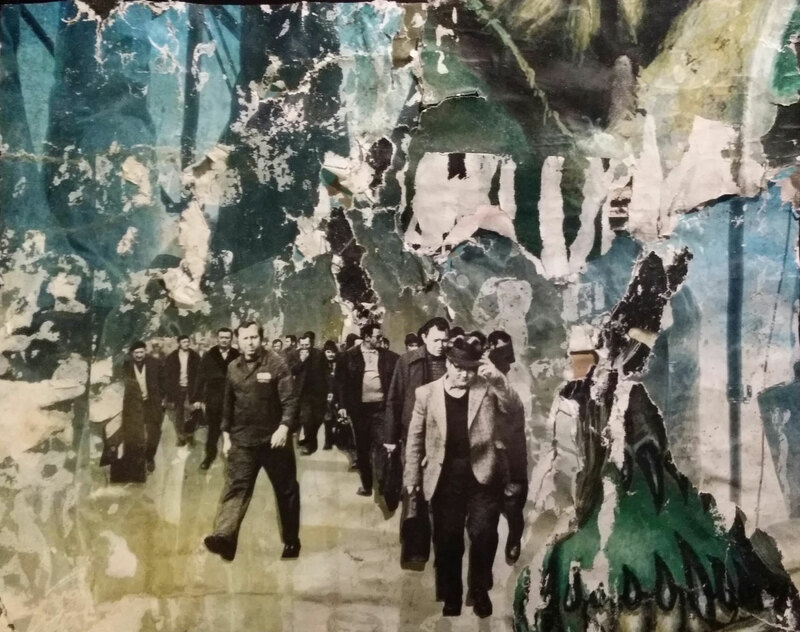 Especially in the 50s and 60s of the 20th century it was very popular to tear down posters to use the scraps and billboards as material for décollages. 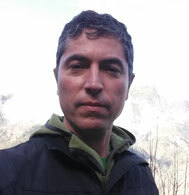 If you want to know more, please click here. 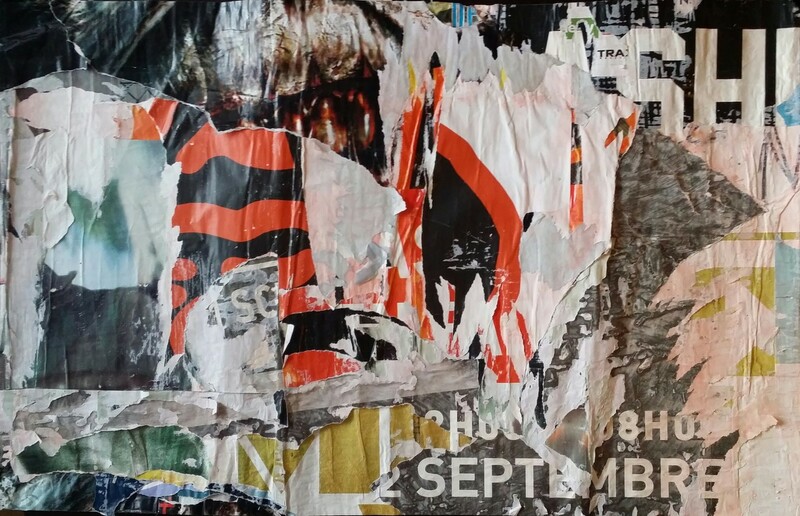 On August 6, 2016 some friends accompanied an décollage action in Budweis (České Budějovice). 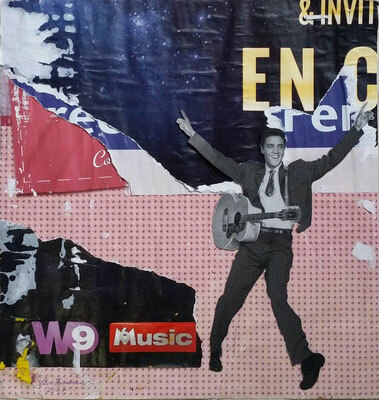 On the way to a typical czech and cozy restaurant, I discovered an electrical box covered by old posters. The decision and mission was clear: RIPPING THE POSTERS! The action was filmed. 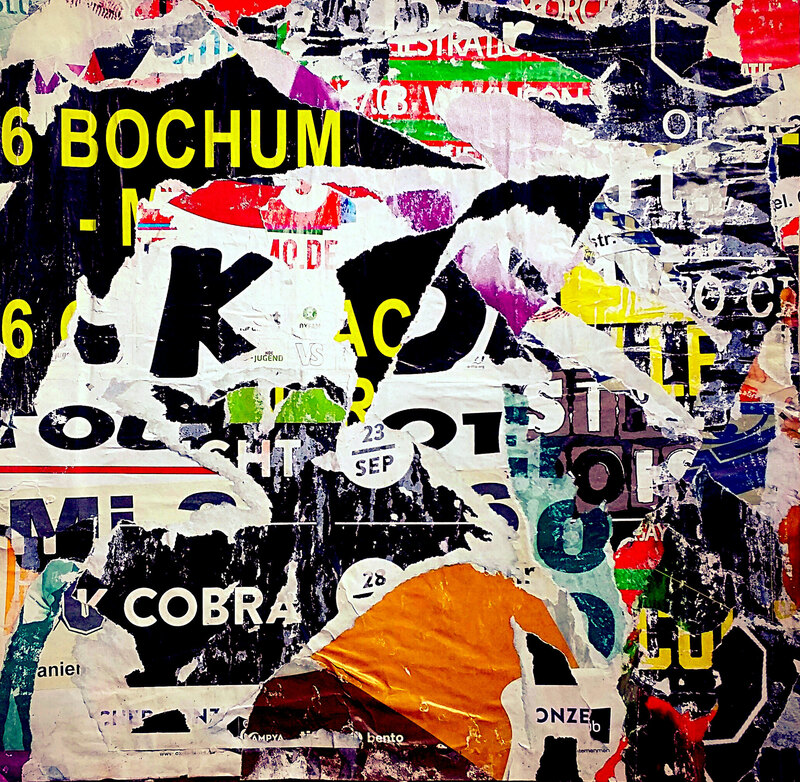 You will hear some comments in German. 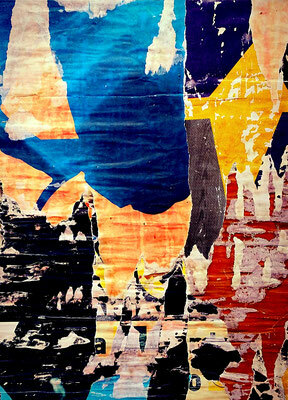 Enjoy the first steps of a MAKING OF. 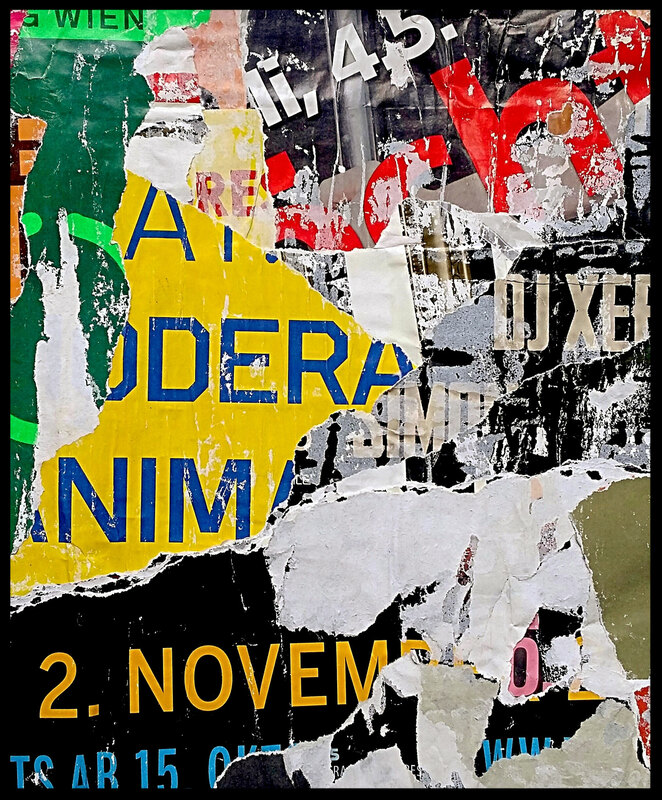 A new series from Vienna. 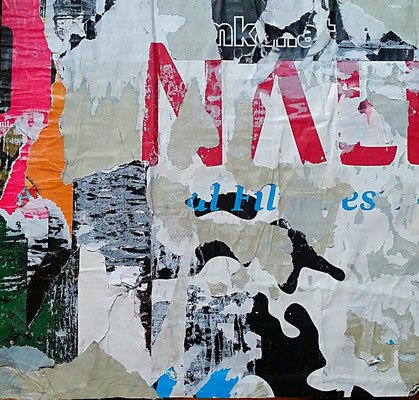 I was there in the 2nd week of 2016, I strolled through the city - and found wonderful old billboards.